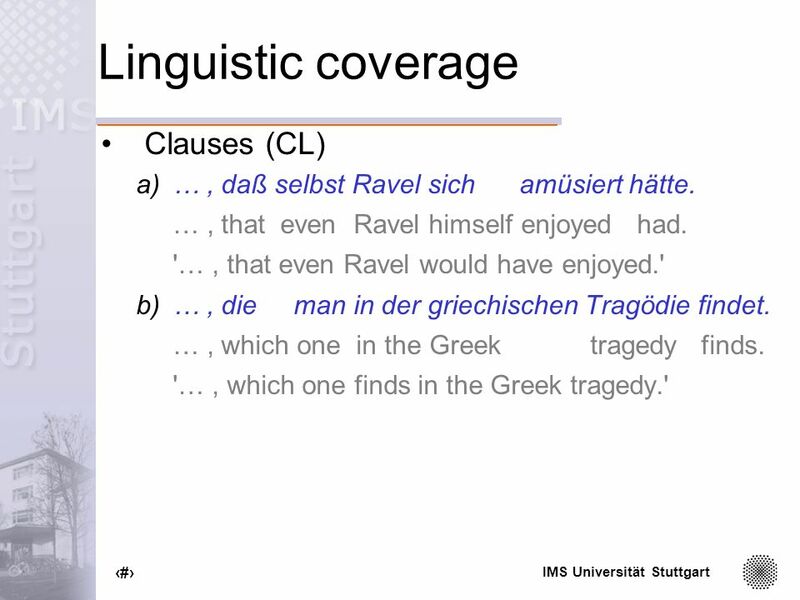 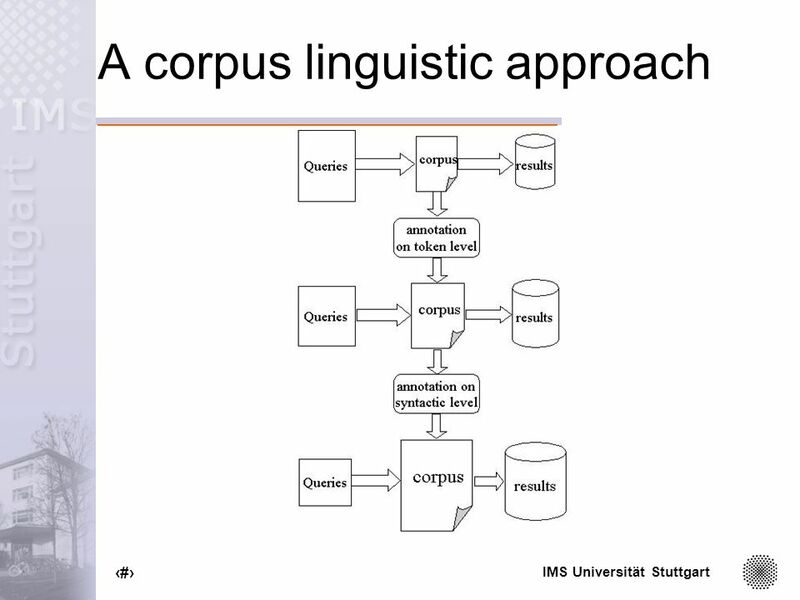 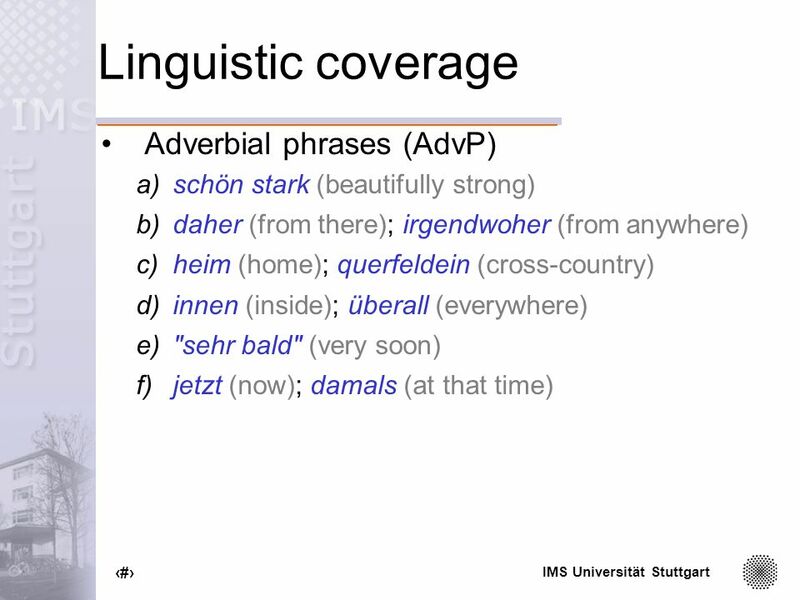 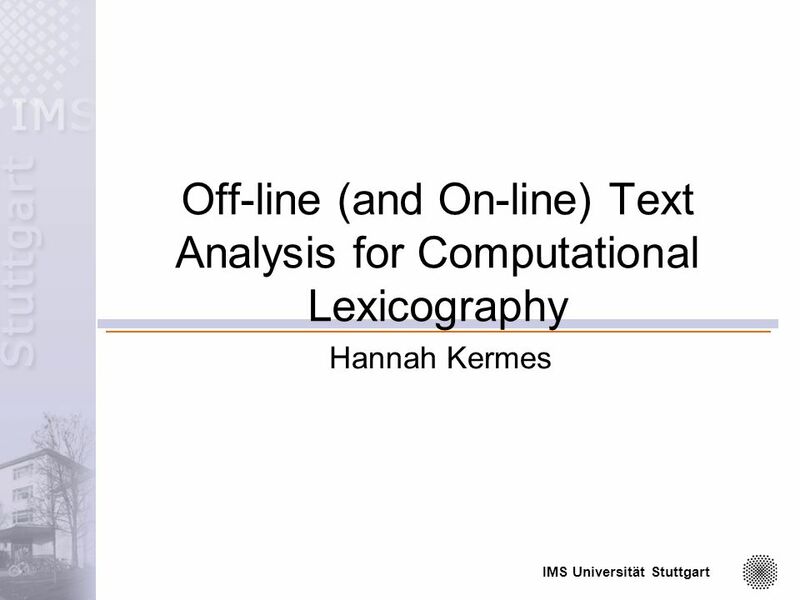 IMS Universität Stuttgart Off-line (and On-line) Text Analysis for Computational Lexicography Hannah Kermes. 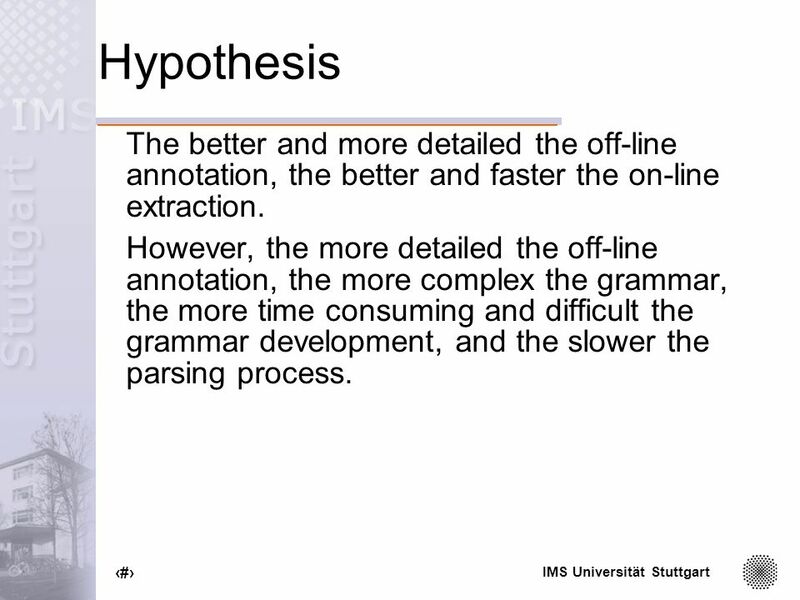 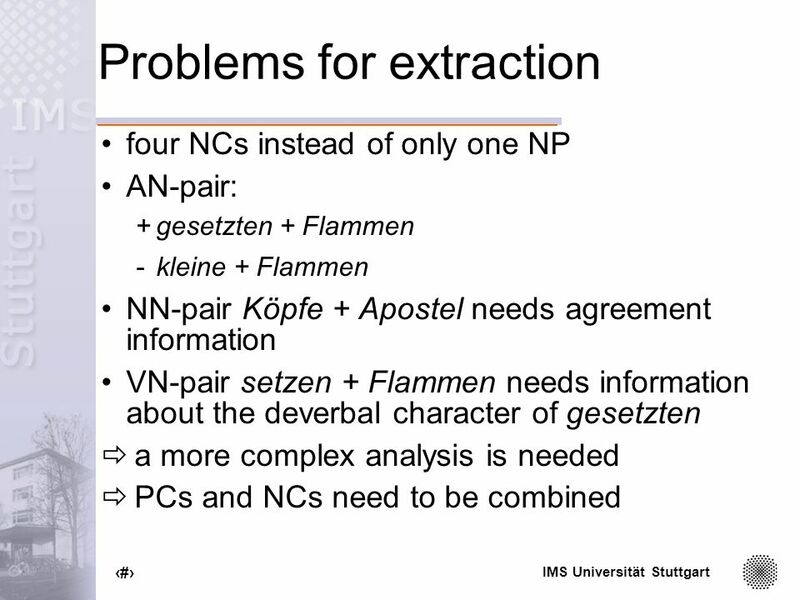 12 IMS Universität Stuttgart 12 Hypothesis The better and more detailed the off-line annotation, the better and faster the on-line extraction. 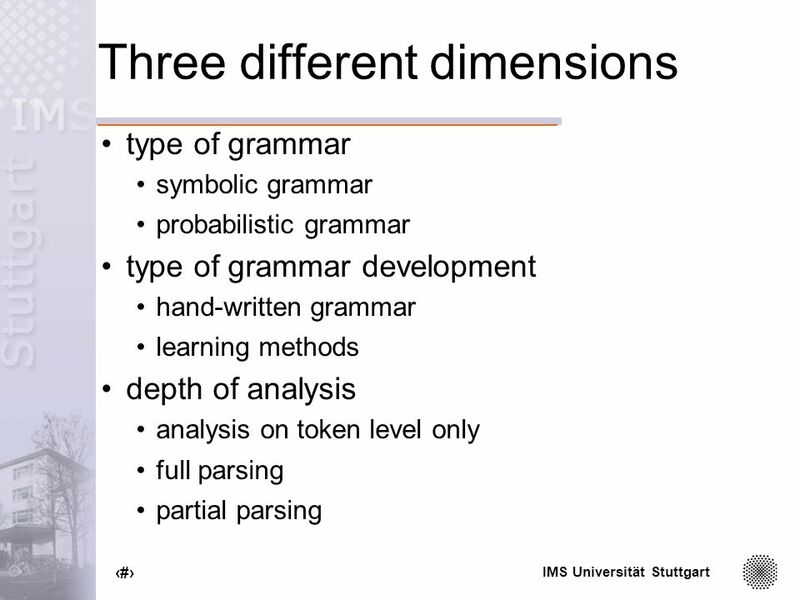 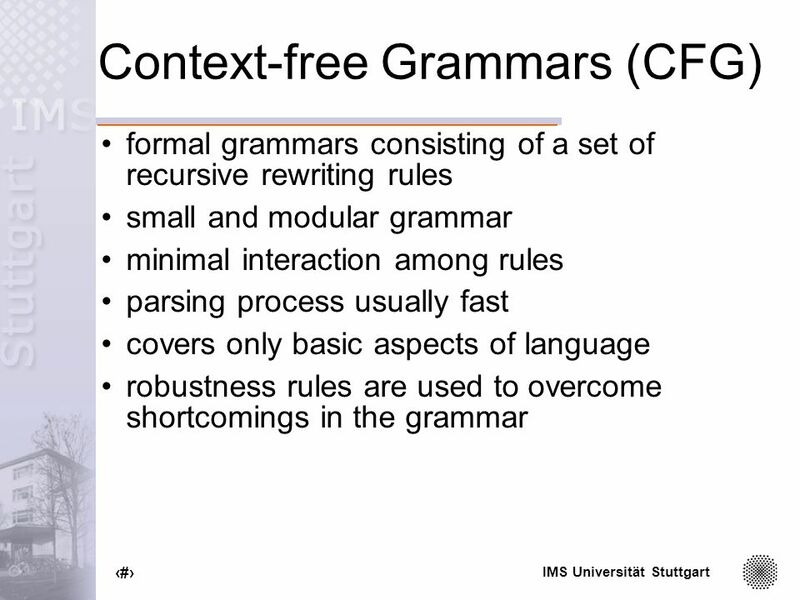 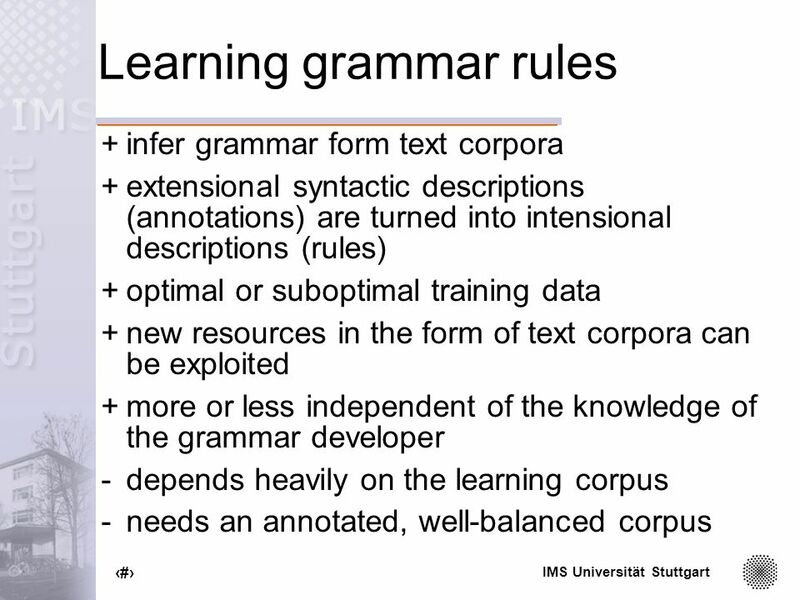 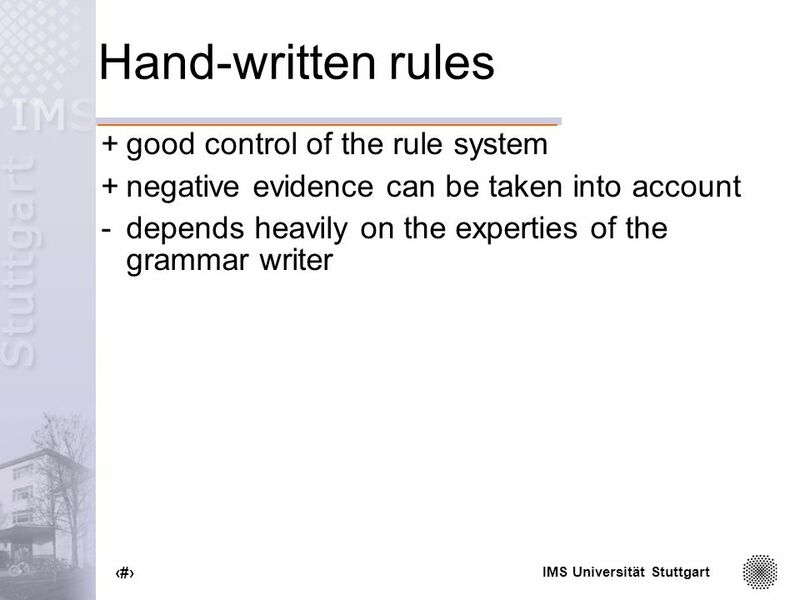 However, the more detailed the off-line annotation, the more complex the grammar, the more time consuming and difficult the grammar development, and the slower the parsing process. 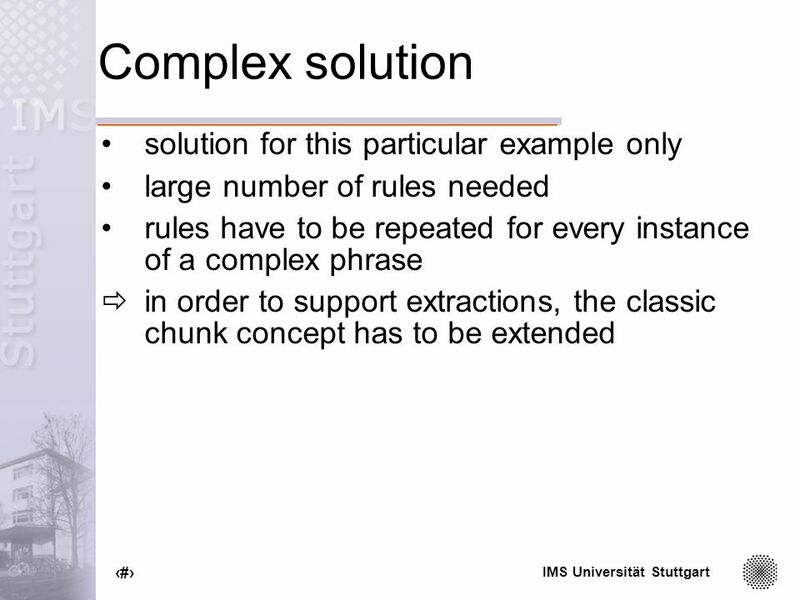 29 IMS Universität Stuttgart 29 Problems for extraction Kübler and Hinrichs (2001) focused on the recognition of partial constituent structures at the level of individual chunks […], little or no attention has been paid to the question of how such partial analysis can be combined into larger structures for complete utterances. 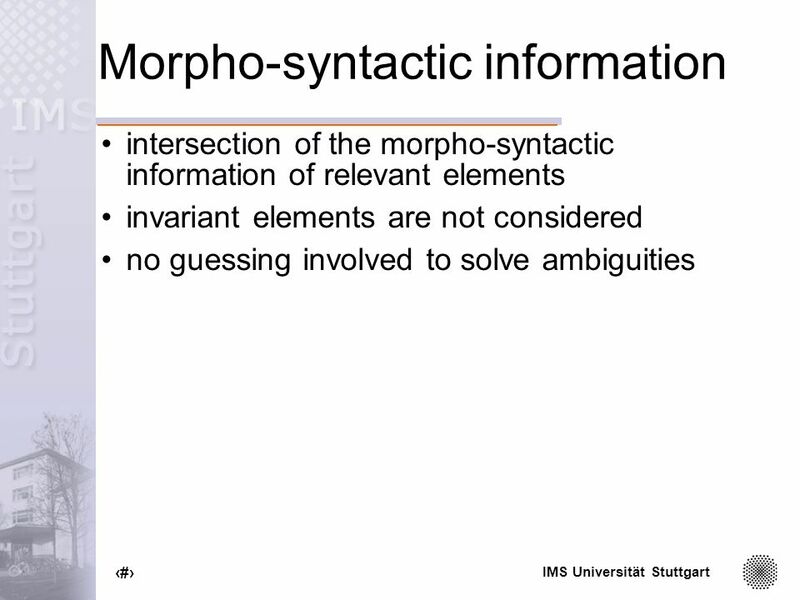 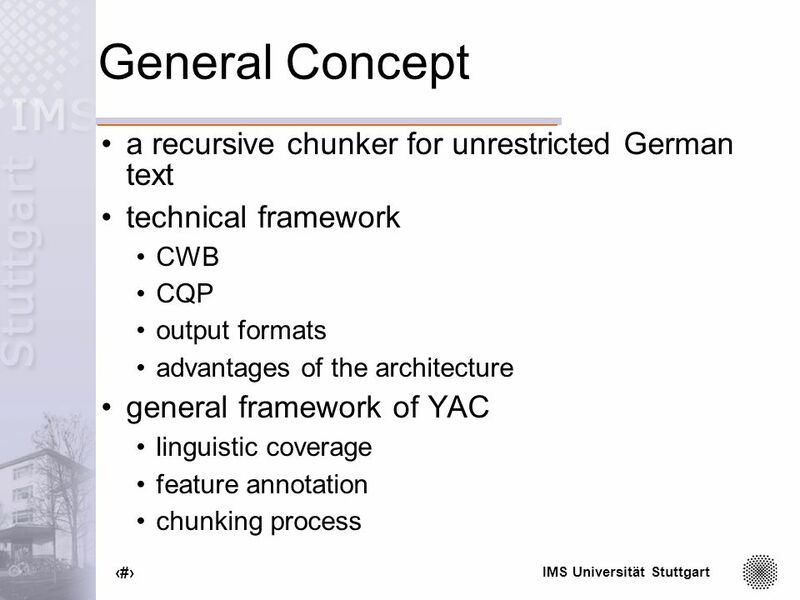 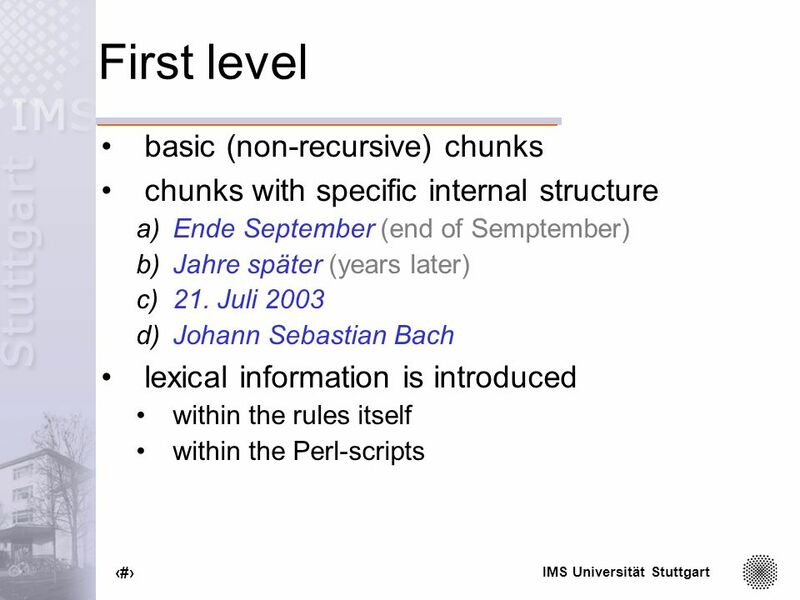 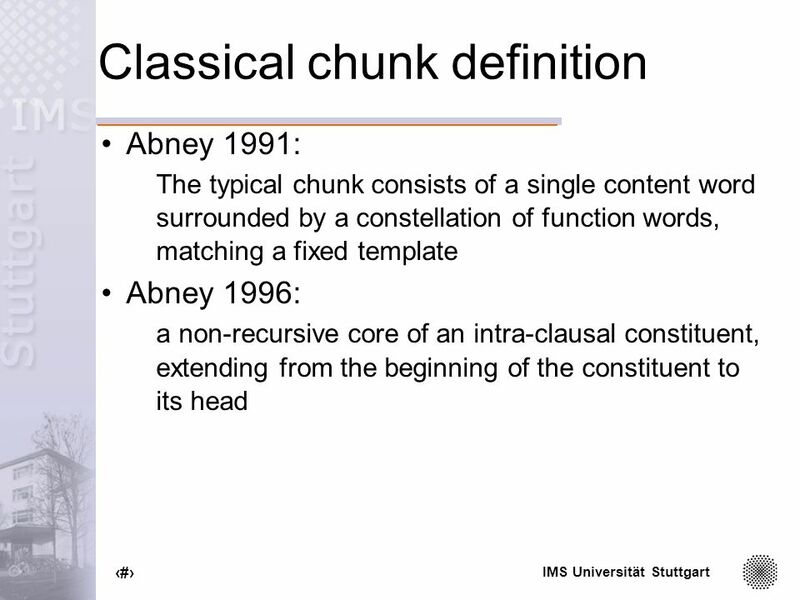 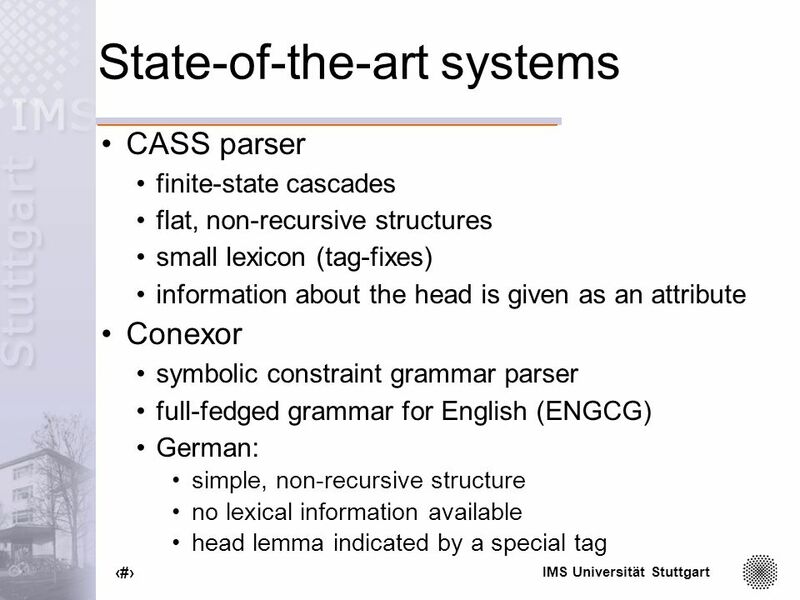 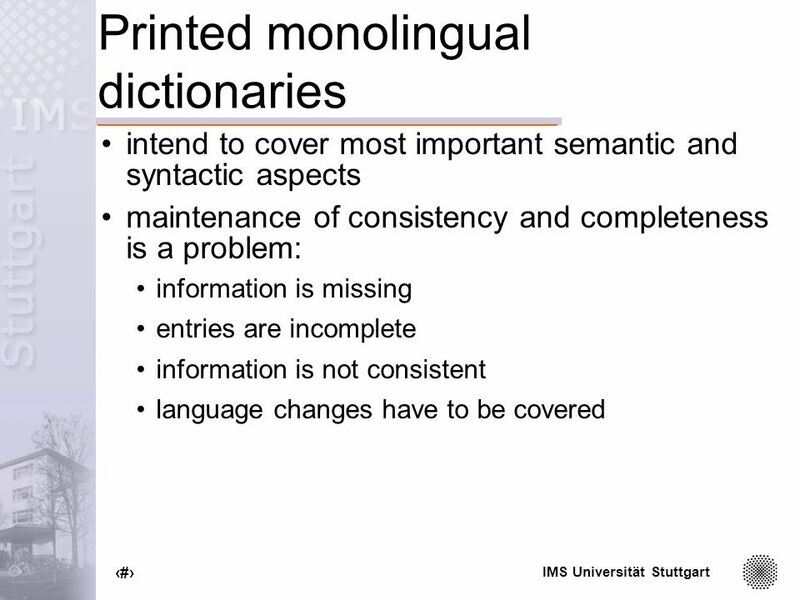 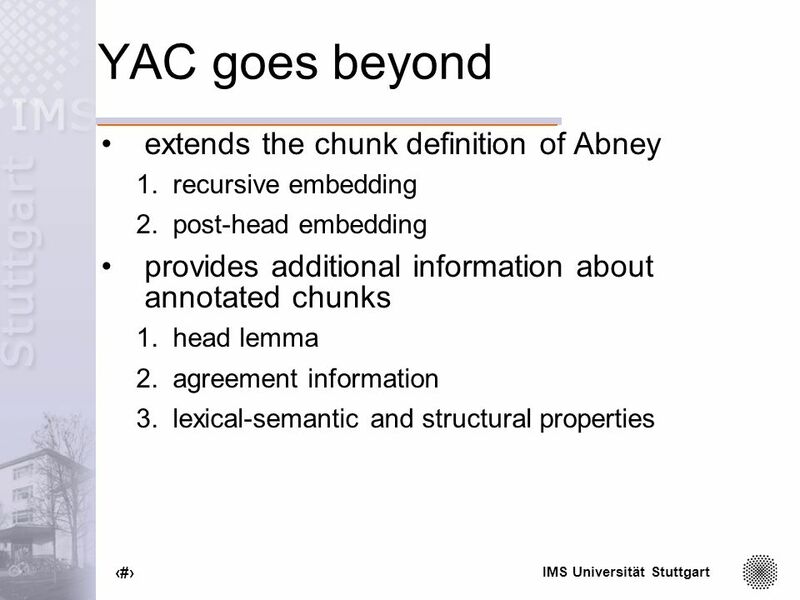 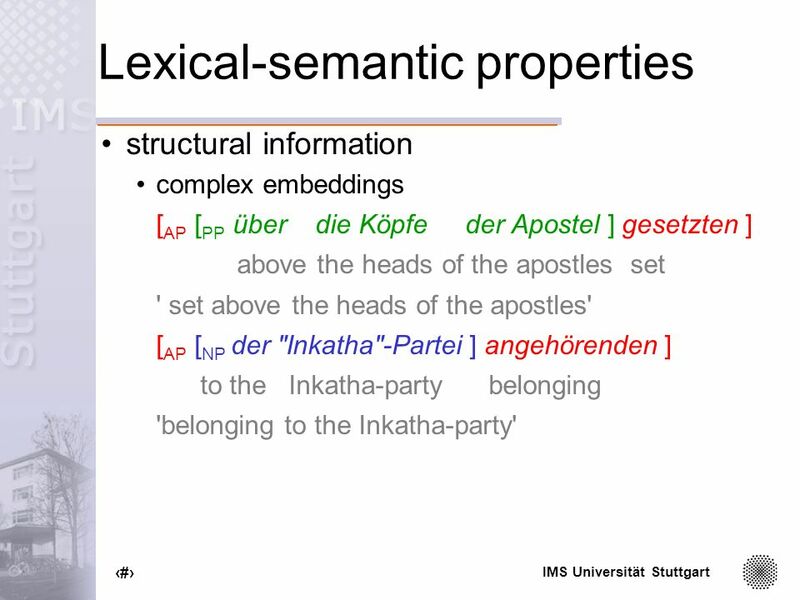 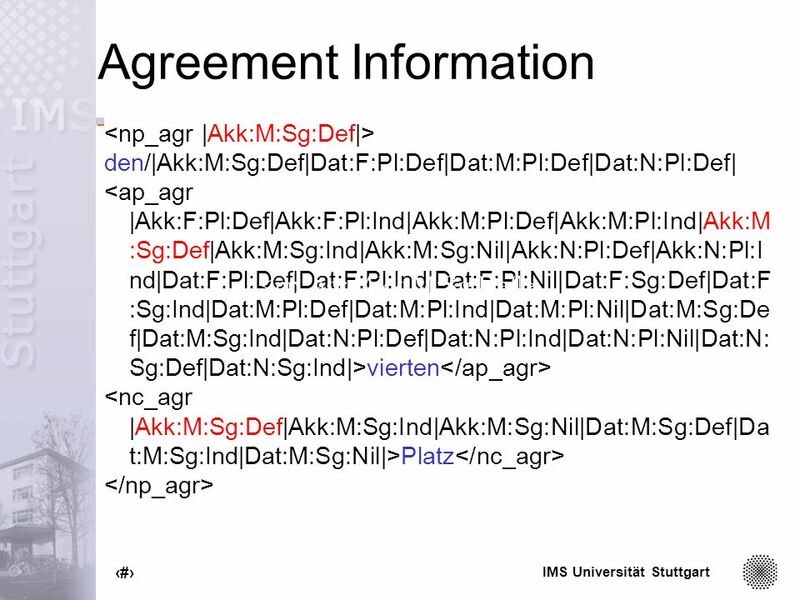 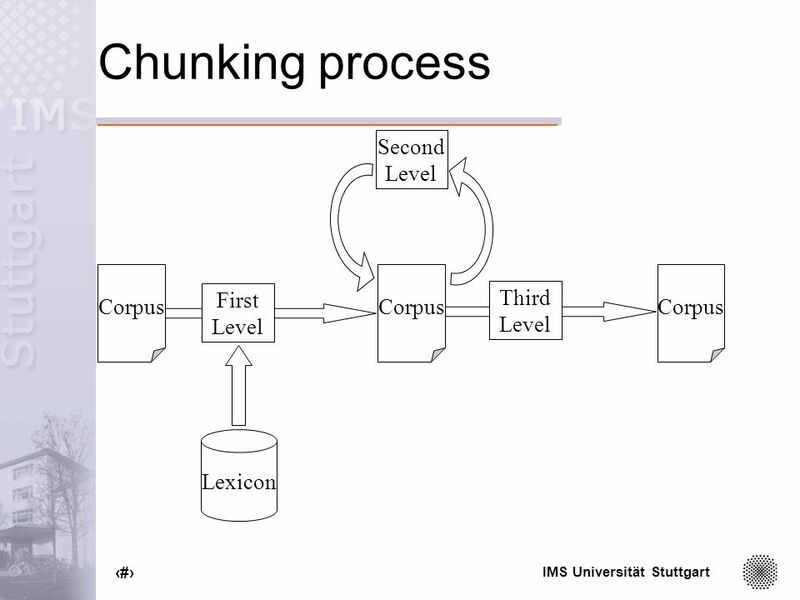 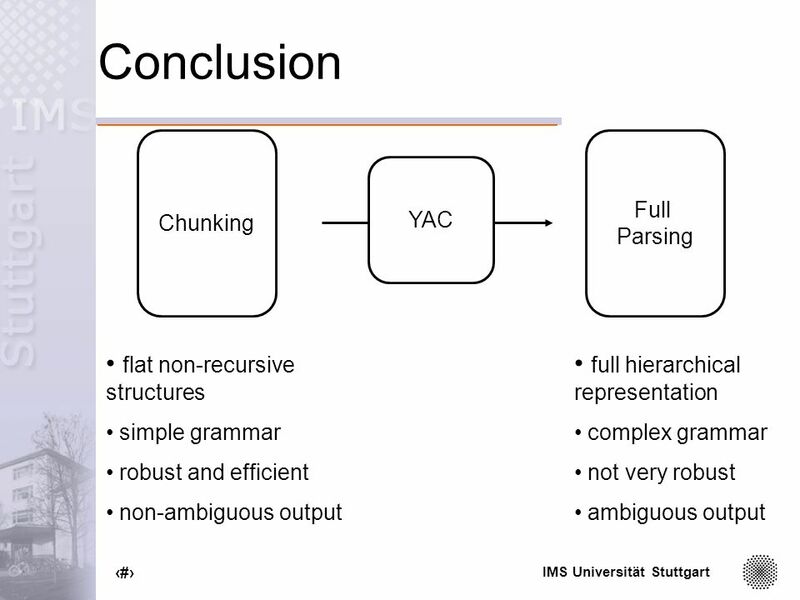 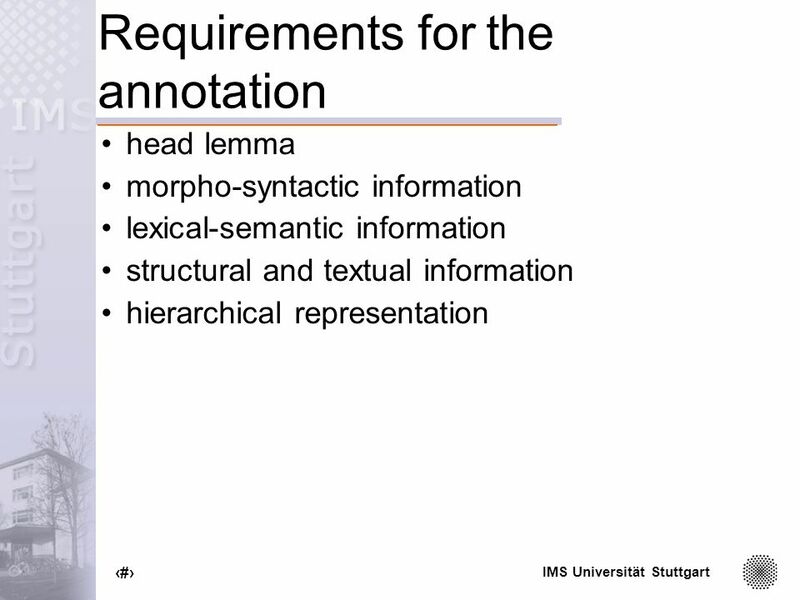 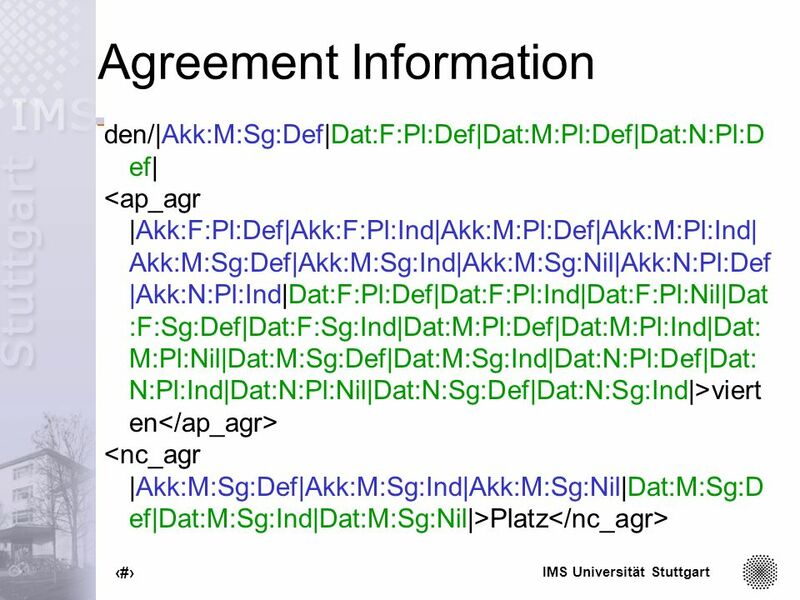 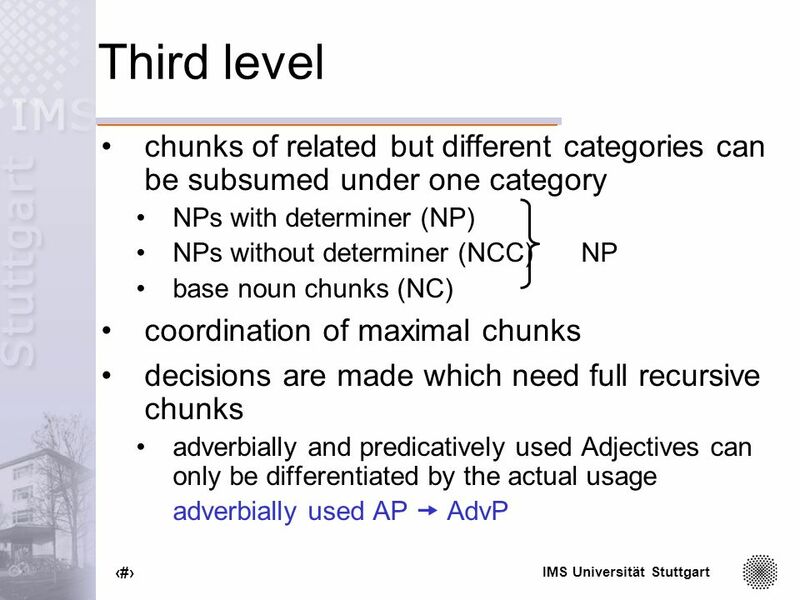 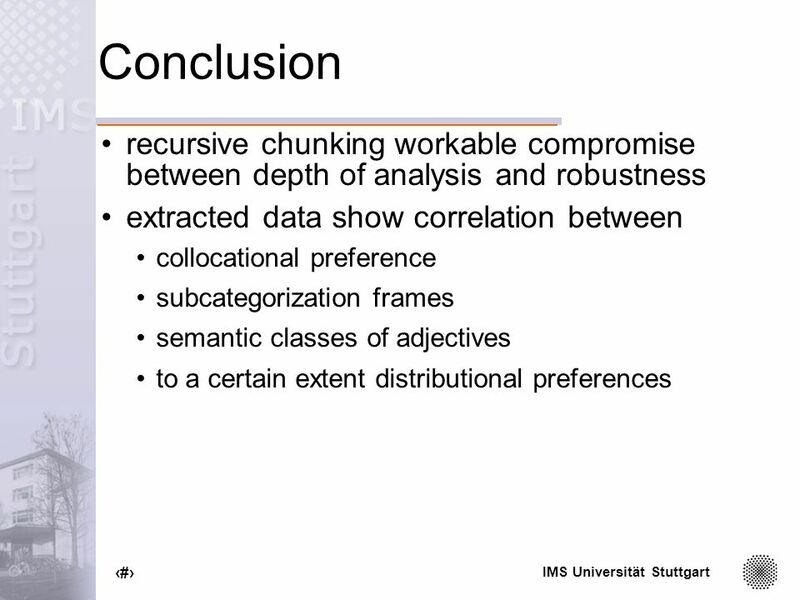 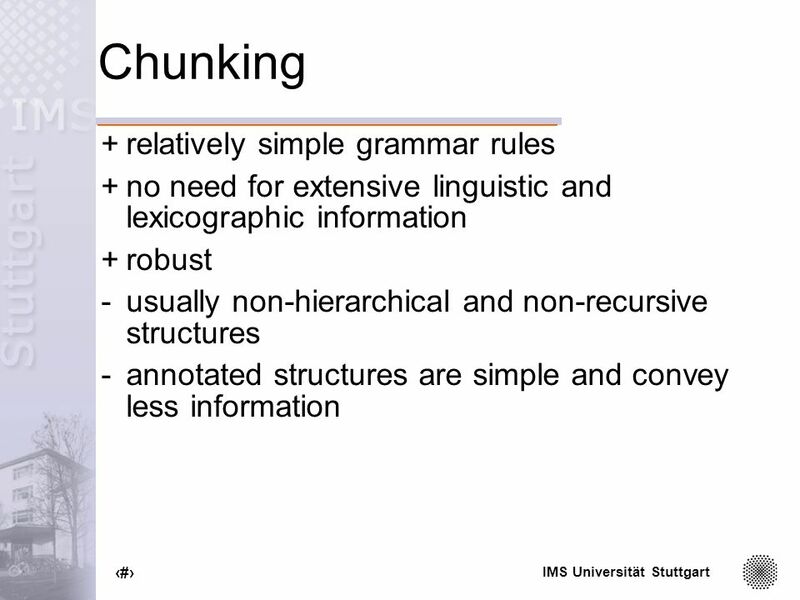 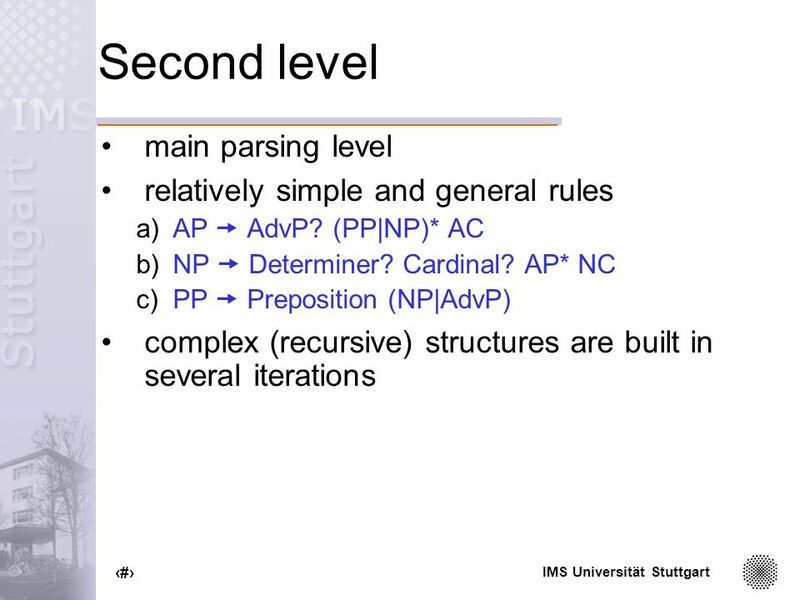 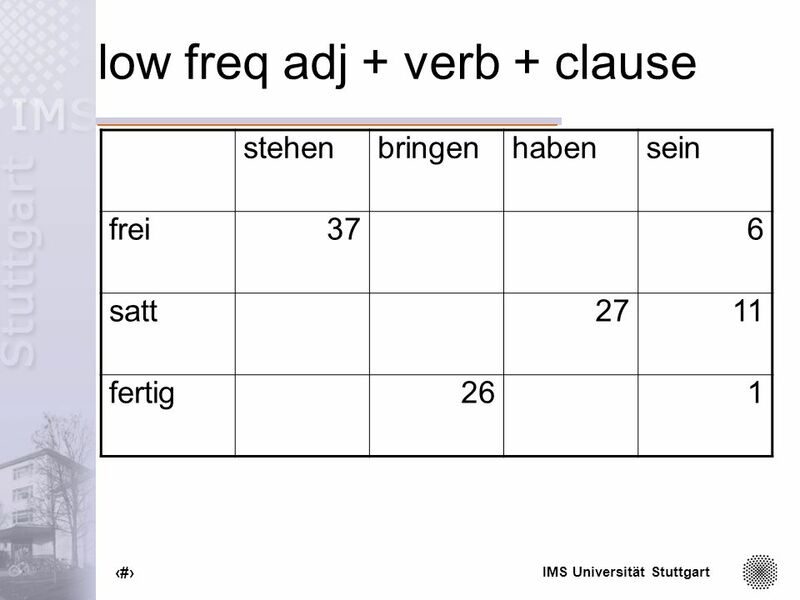 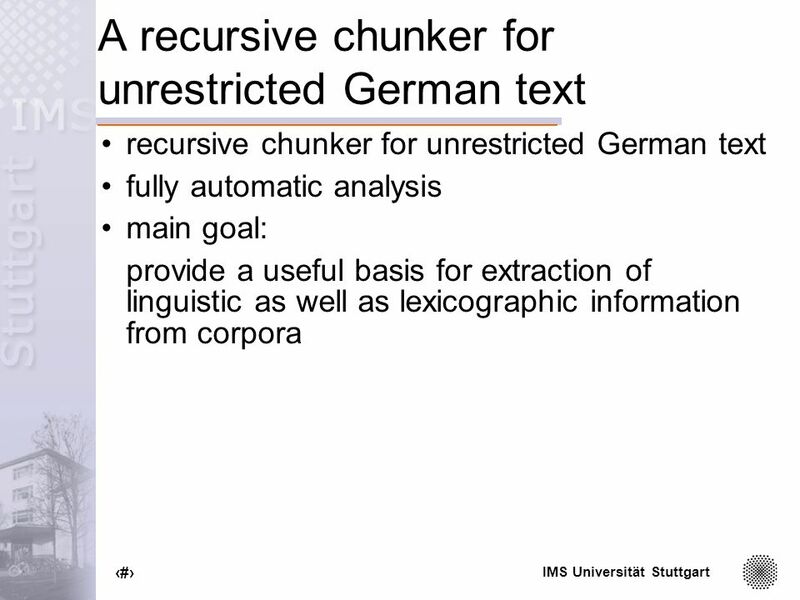 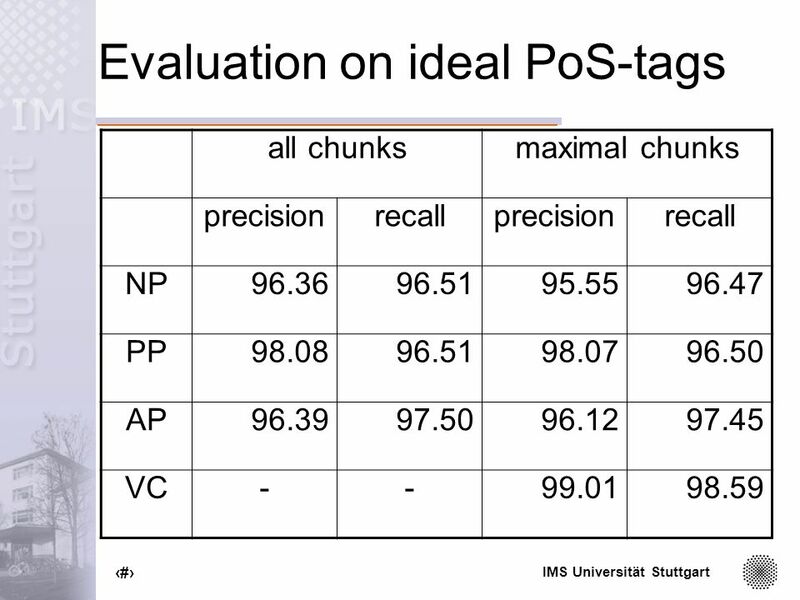 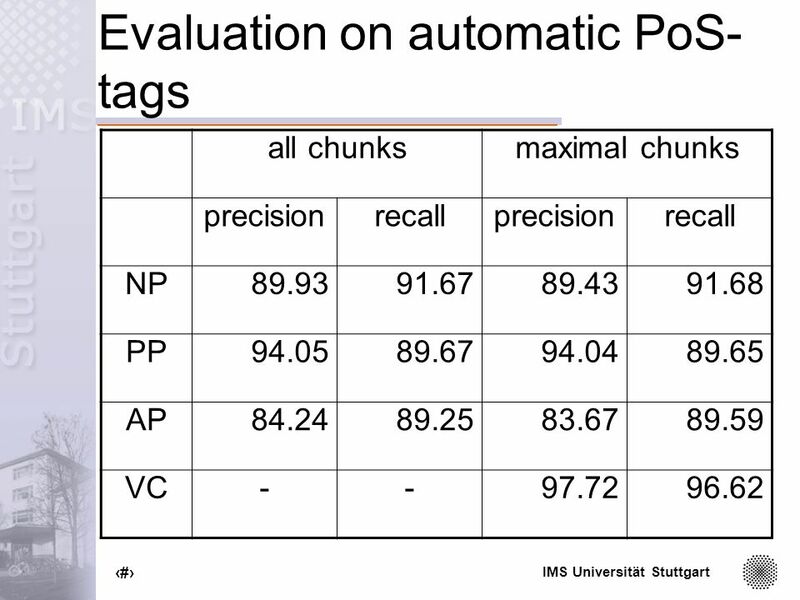 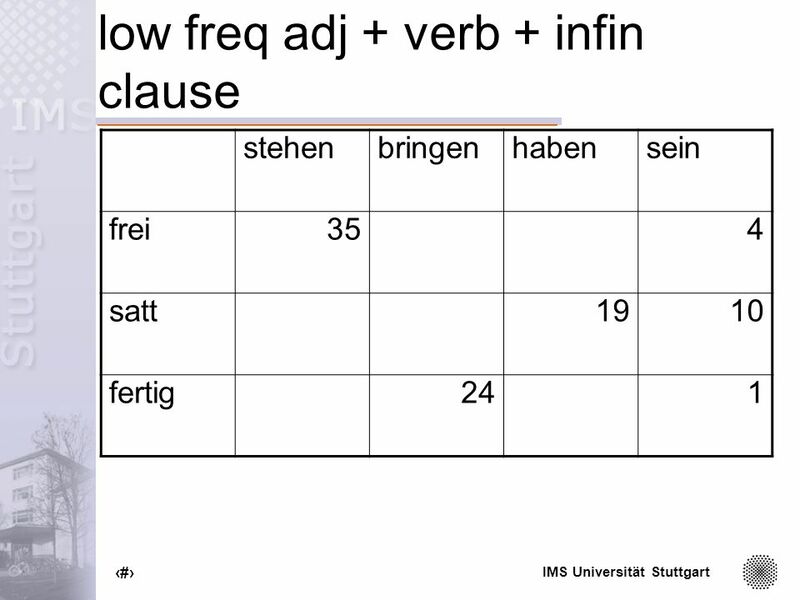 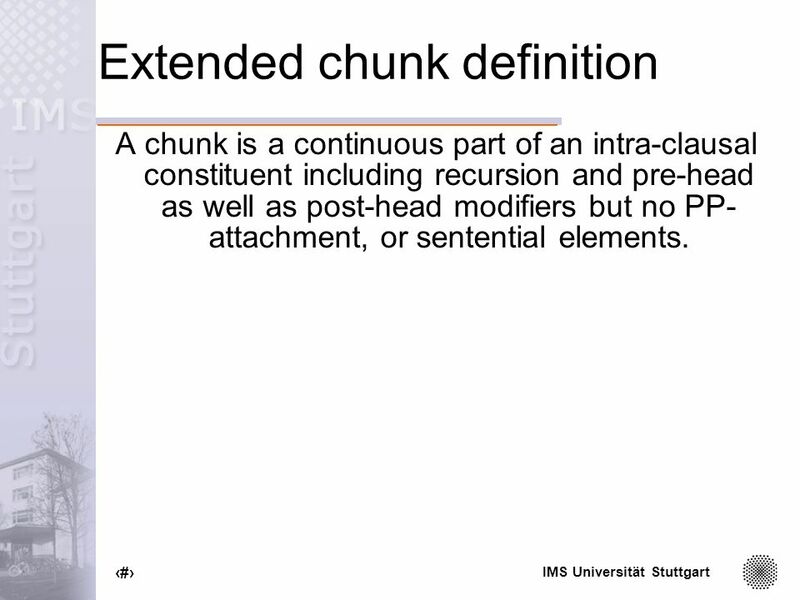 42 IMS Universität Stuttgart 42 Extended chunk definition A chunk is a continuous part of an intra-clausal constituent including recursion and pre-head as well as post-head modifiers but no PP- attachment, or sentential elements. 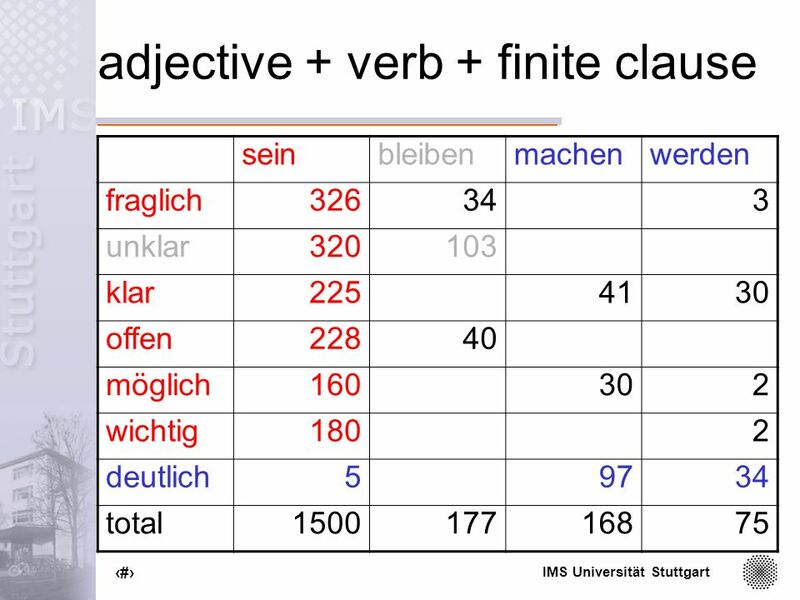 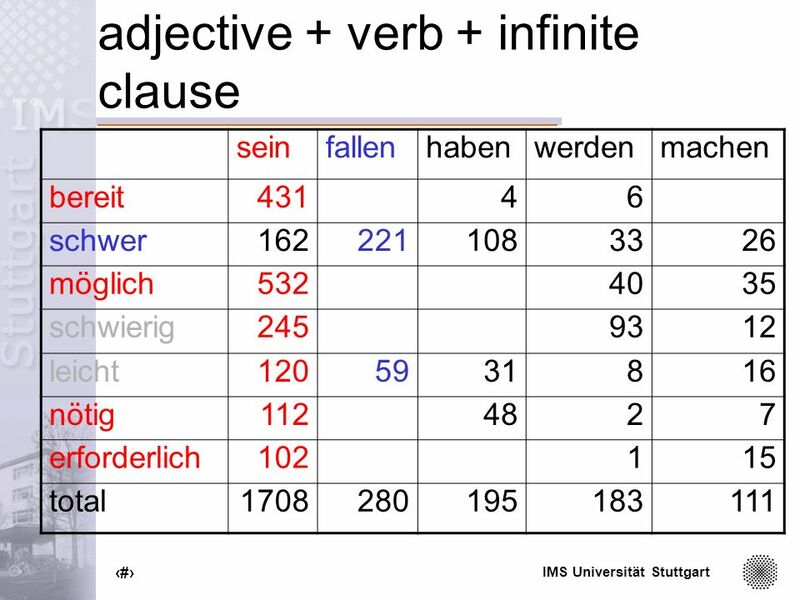 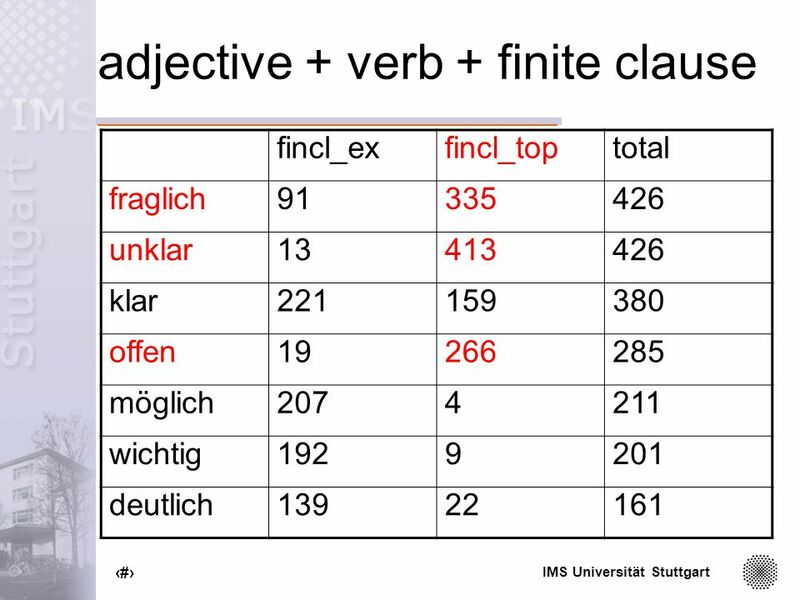 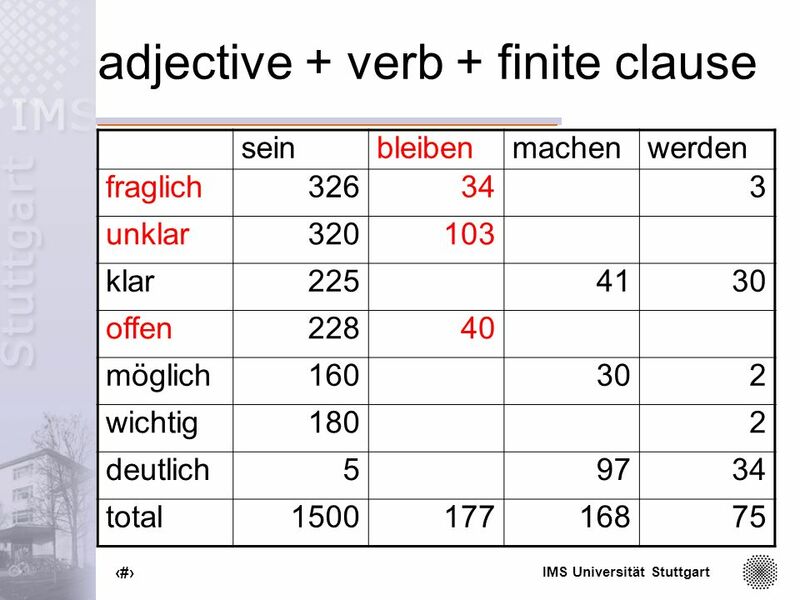 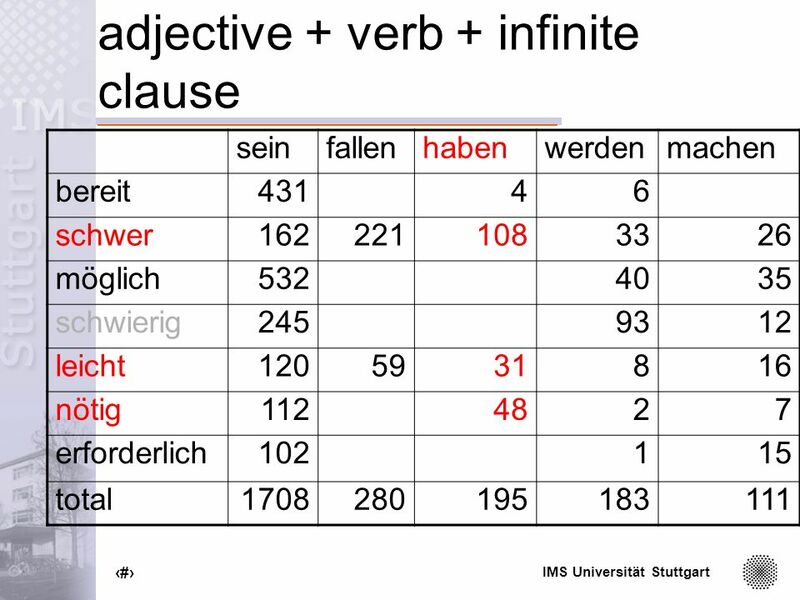 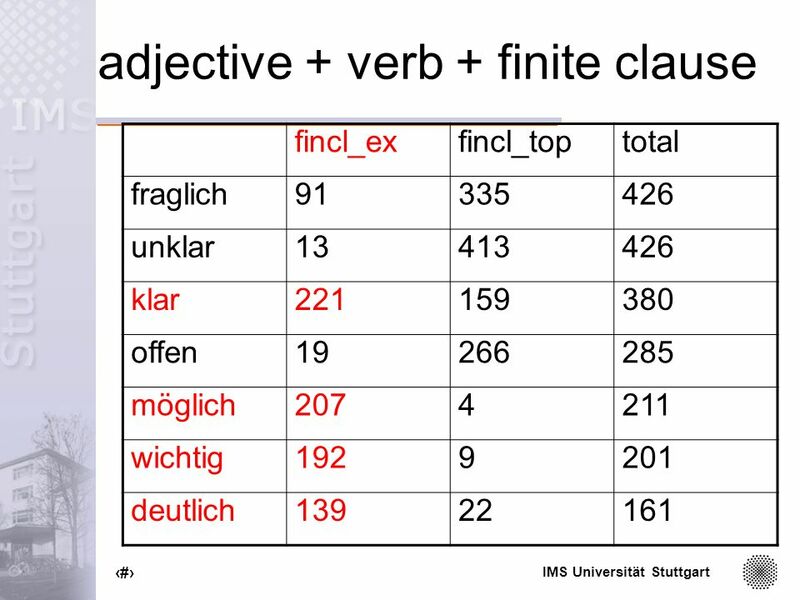 85 IMS Universität Stuttgart 85 Target data... with infinite clauses Es ist möglich, ihn zu besuchen. 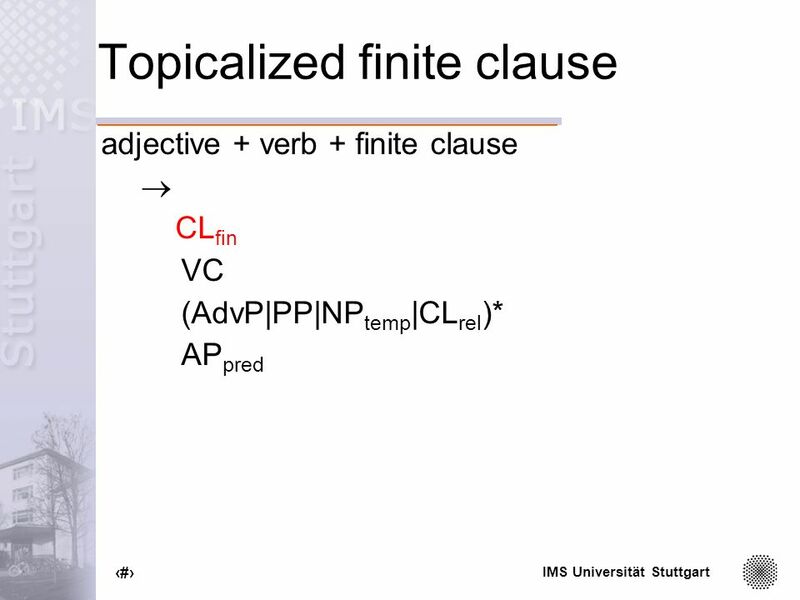 It is possible, him to visit.... with clause in topicalized position Daß..., ist klar. 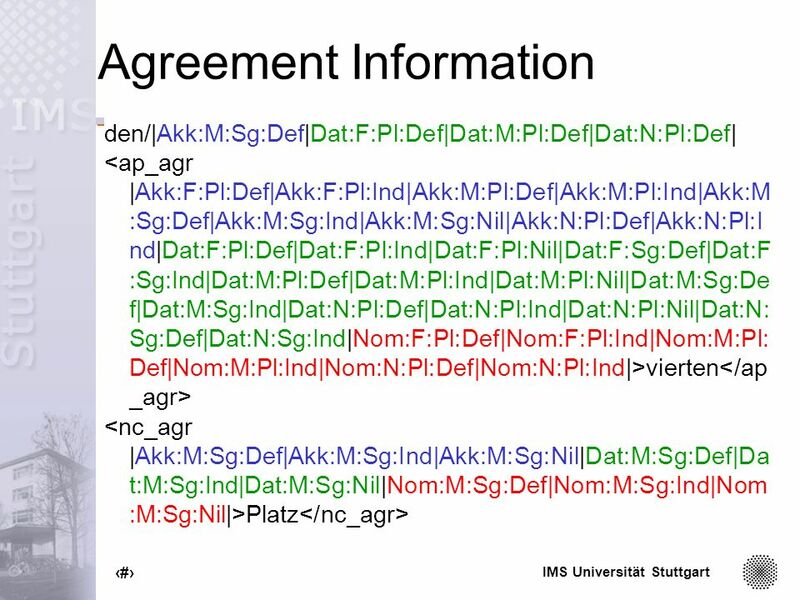 That..., is clear. 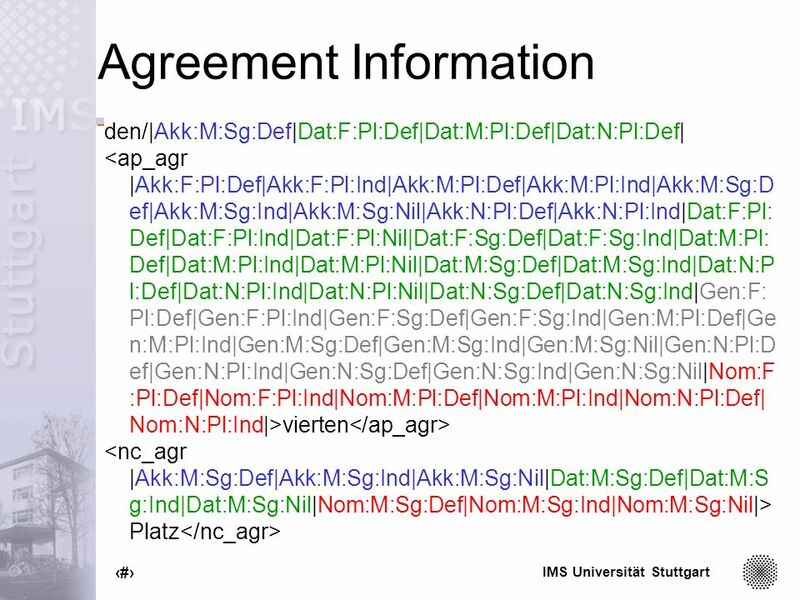 Ihn zu besuchen, ist möglich. 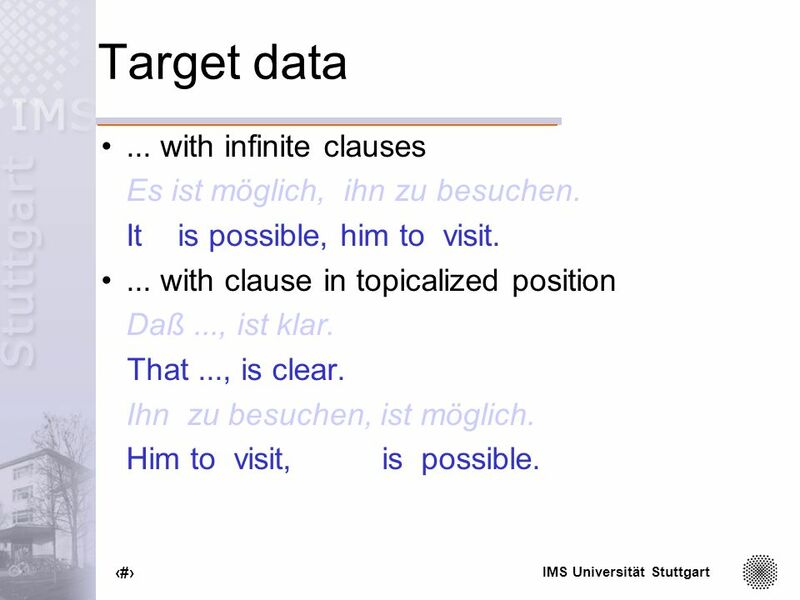 Him to visit, is possible. 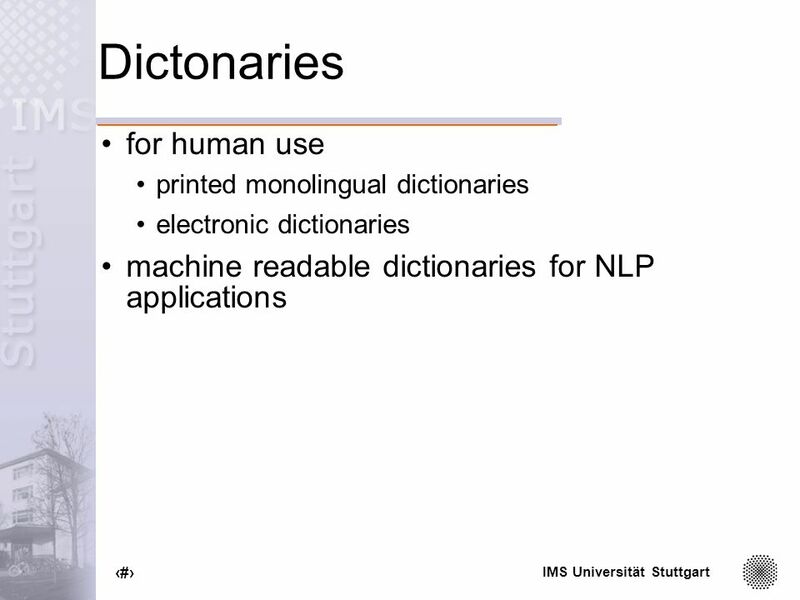 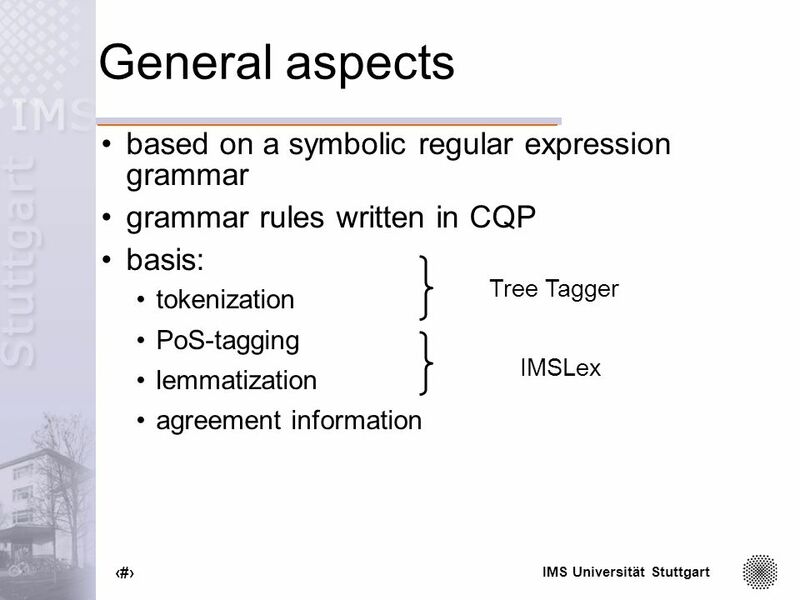 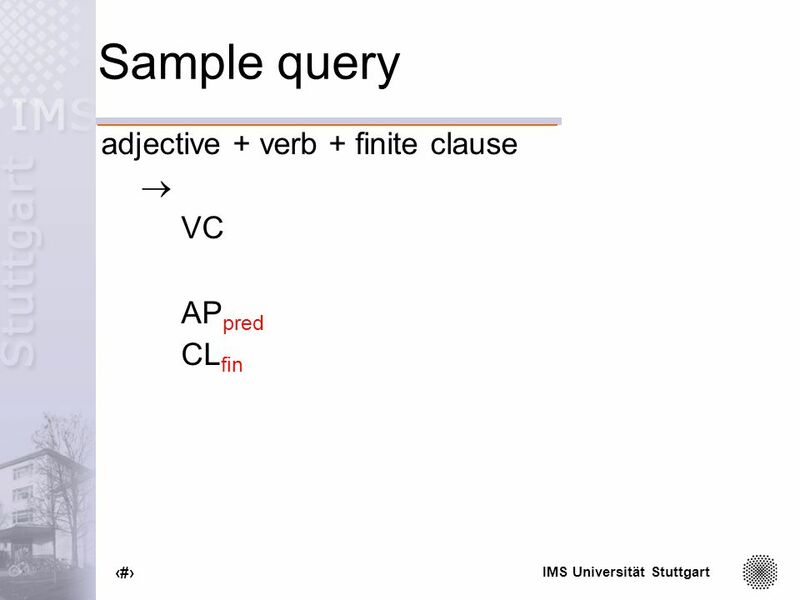 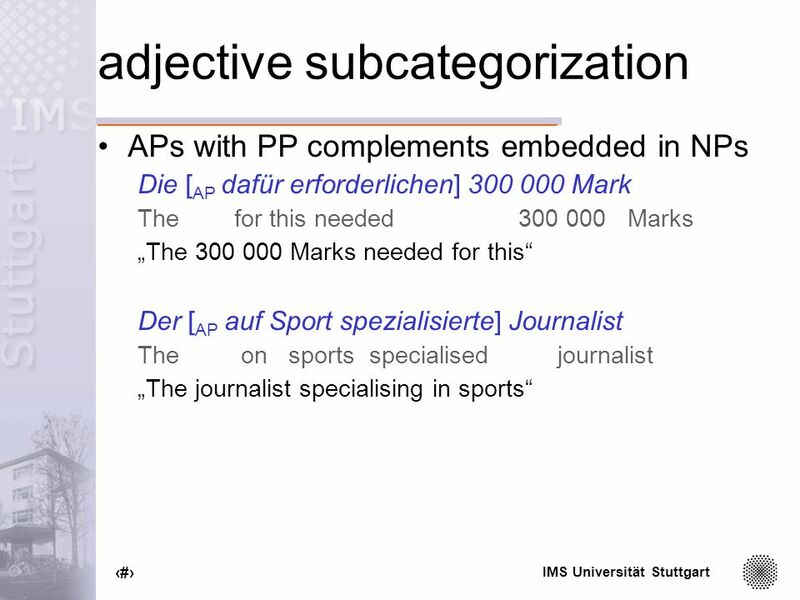 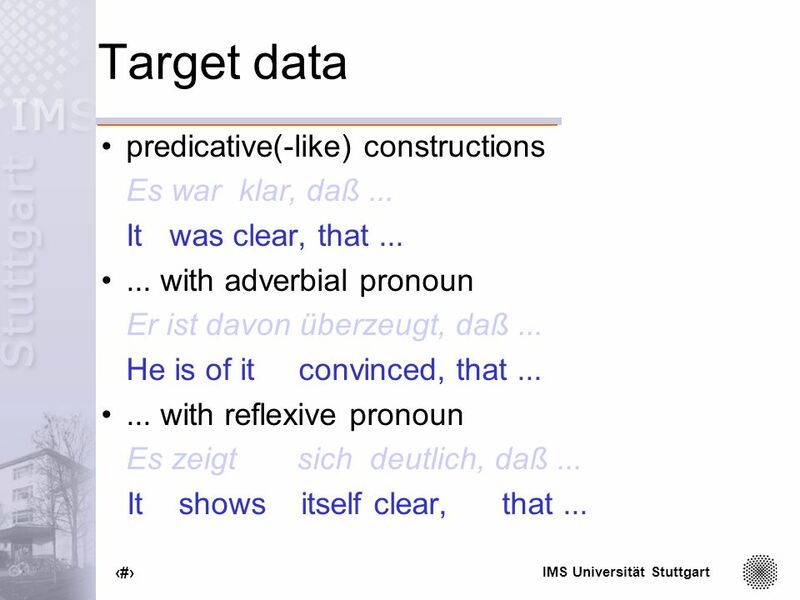 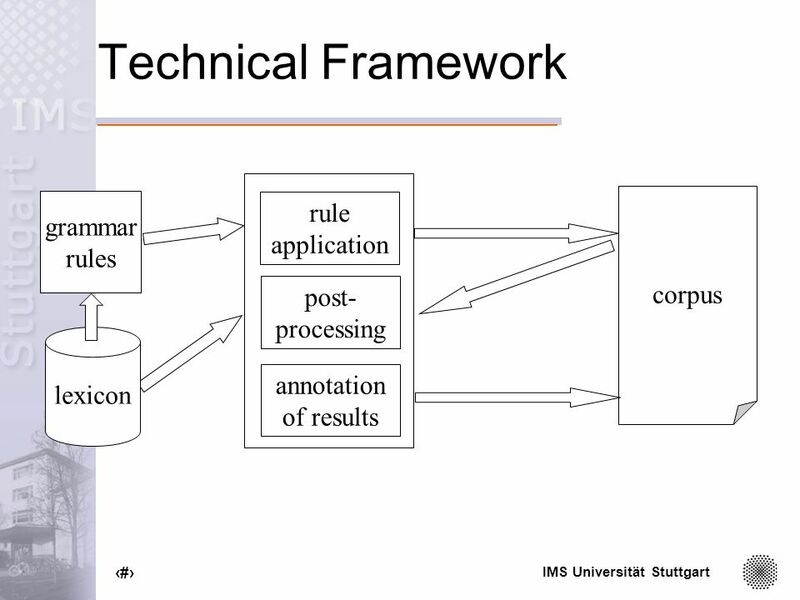 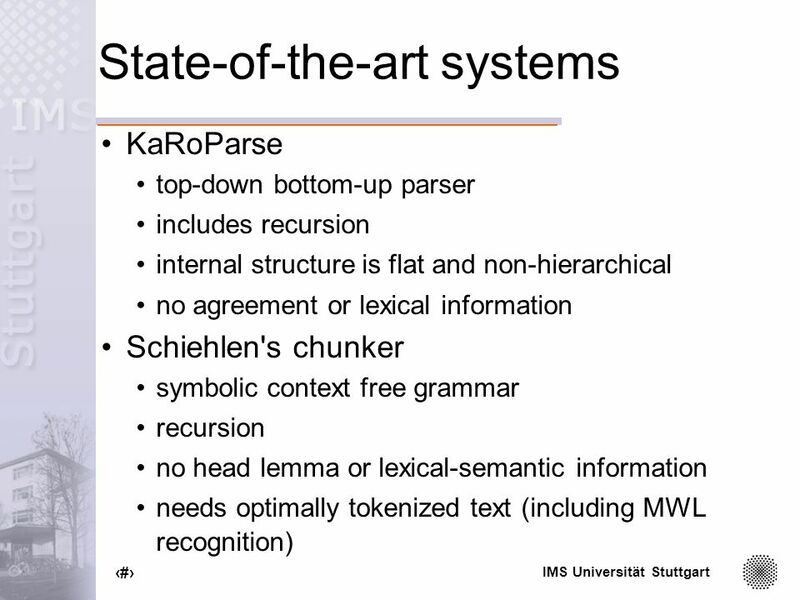 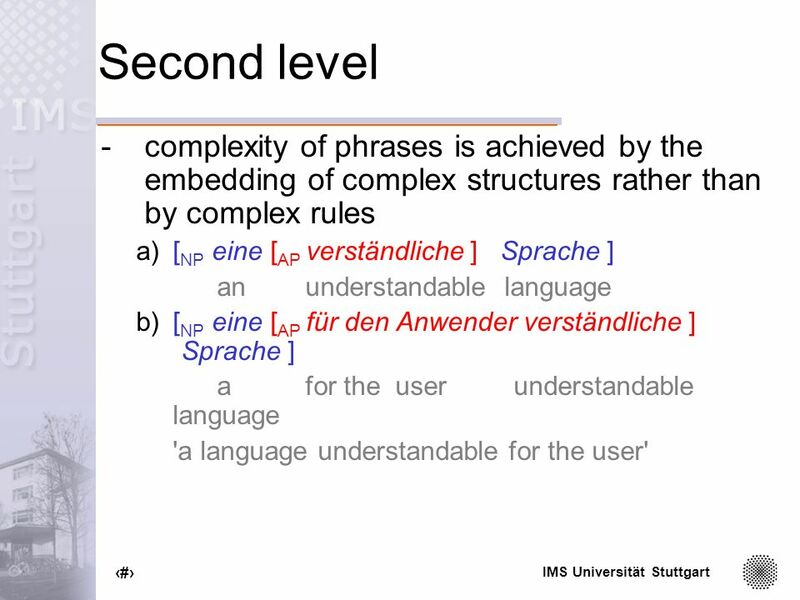 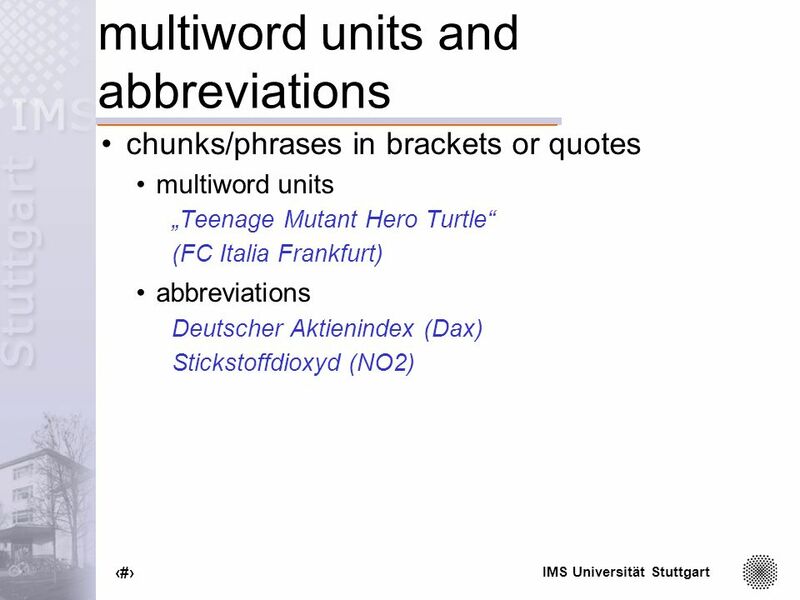 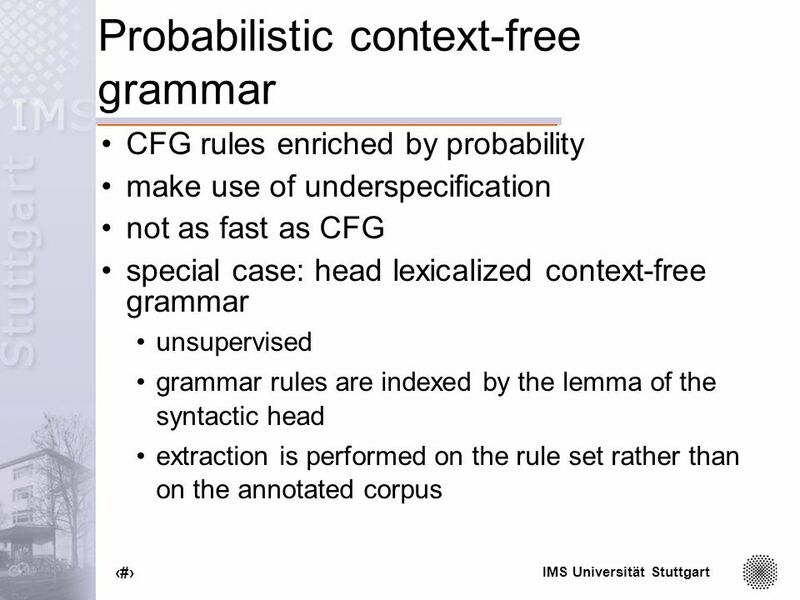 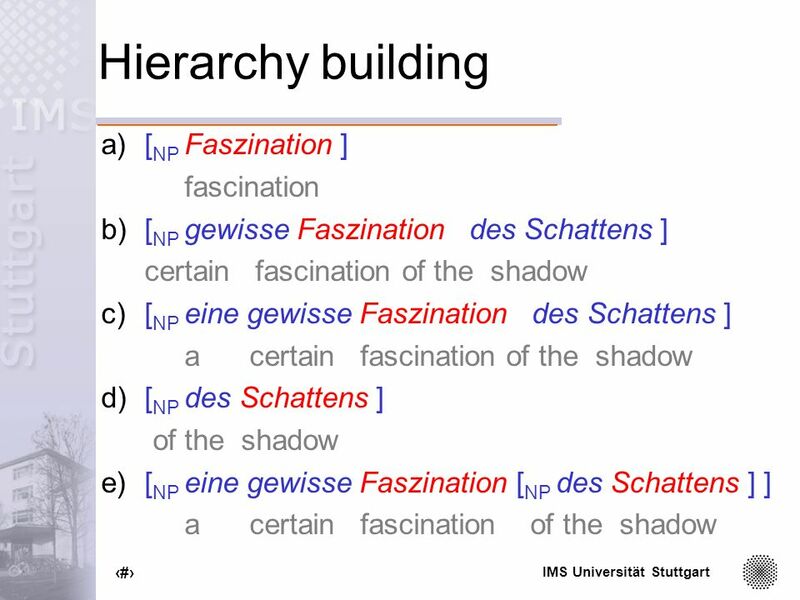 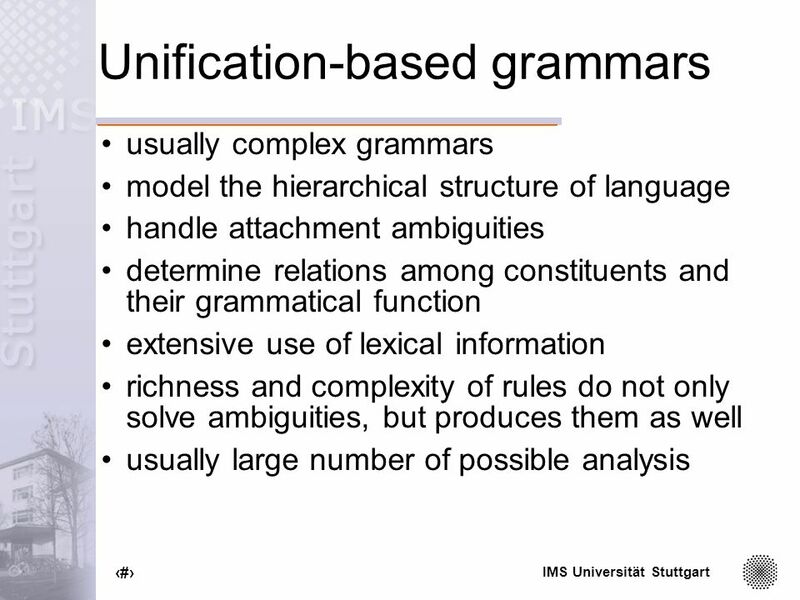 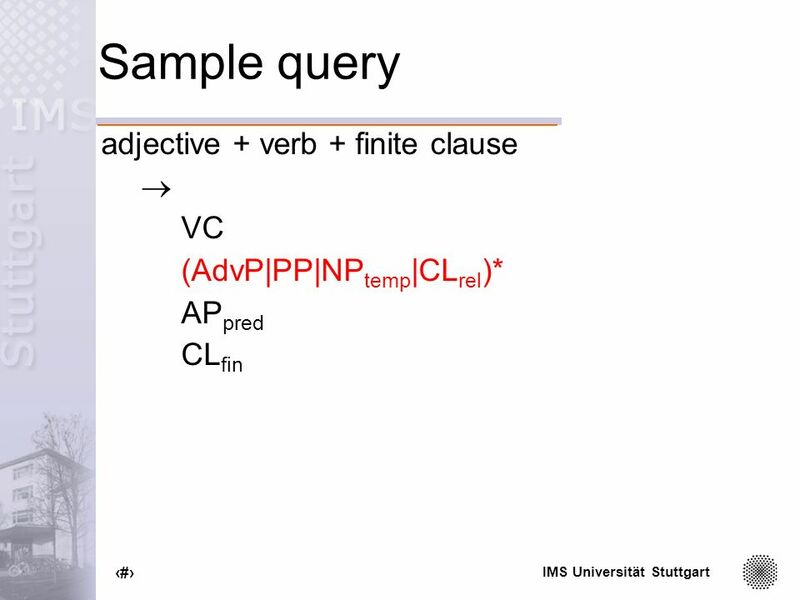 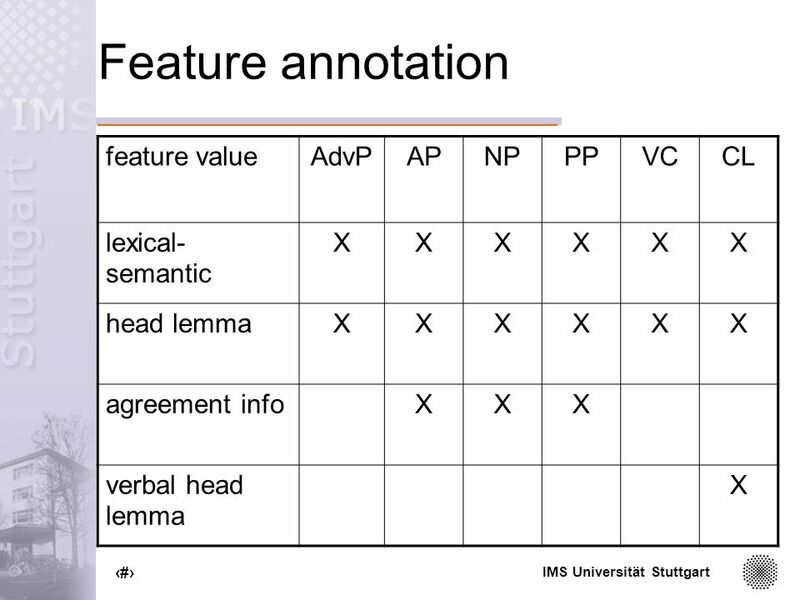 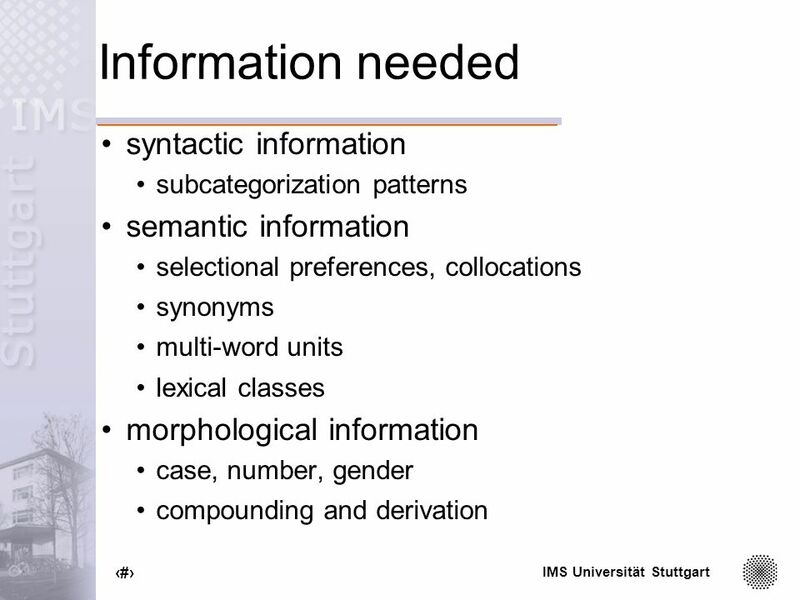 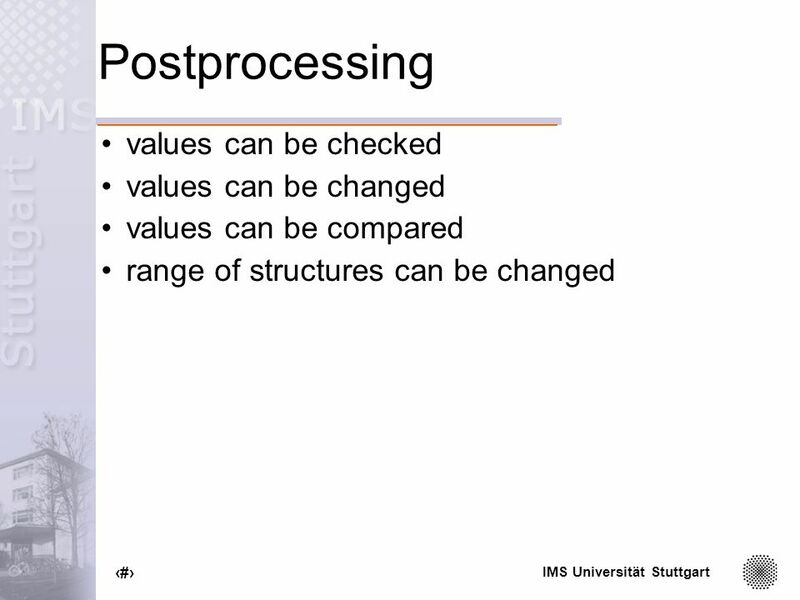 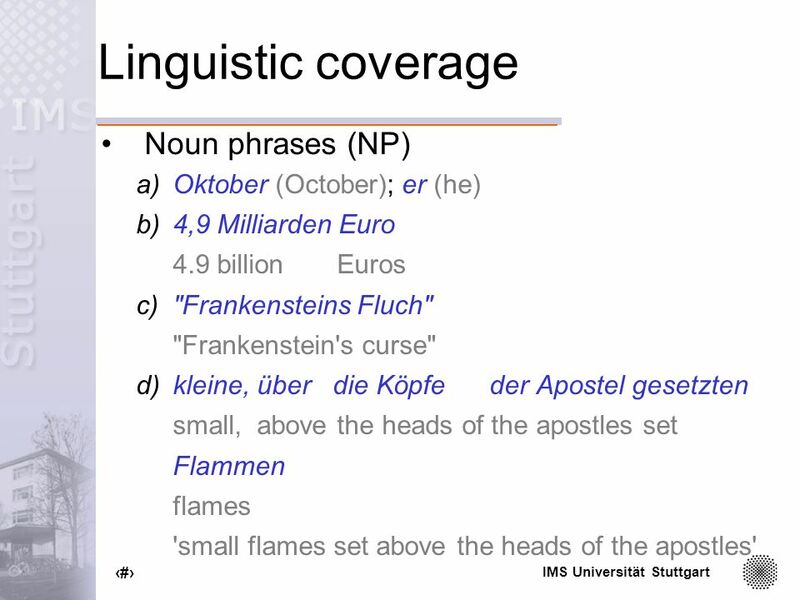 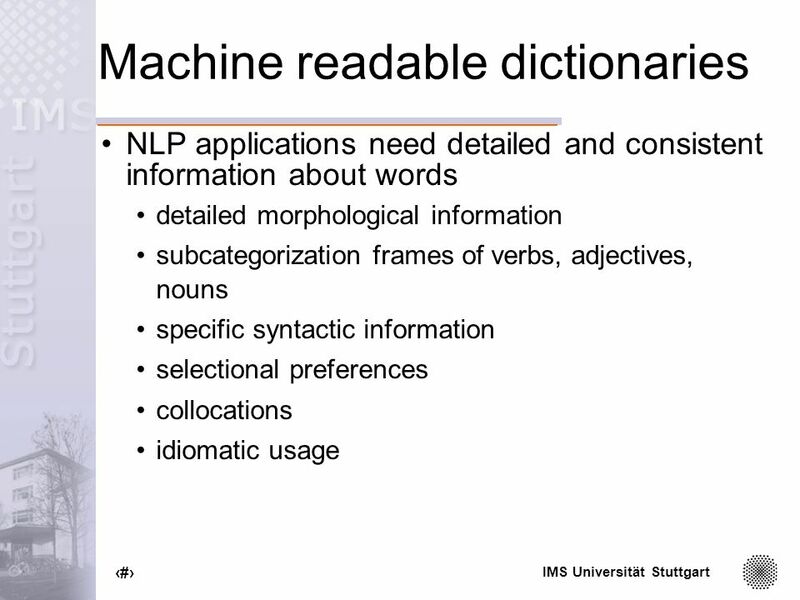 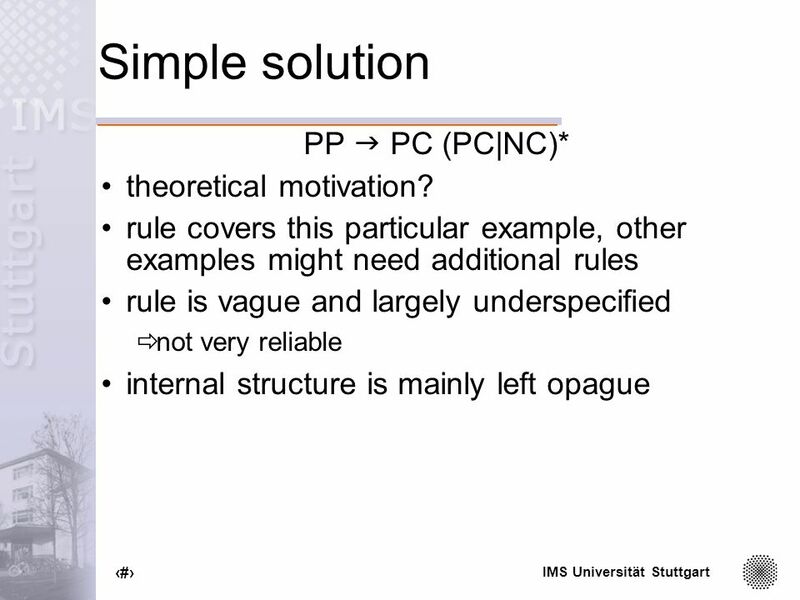 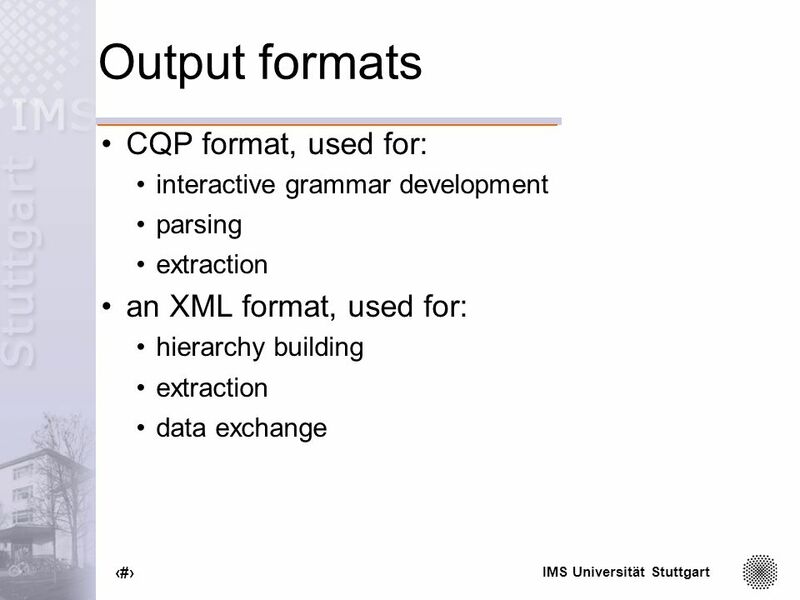 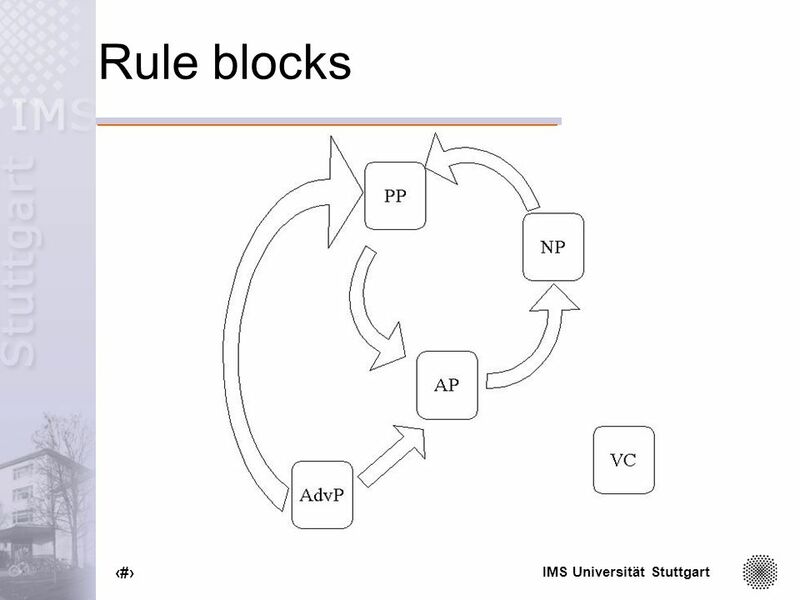 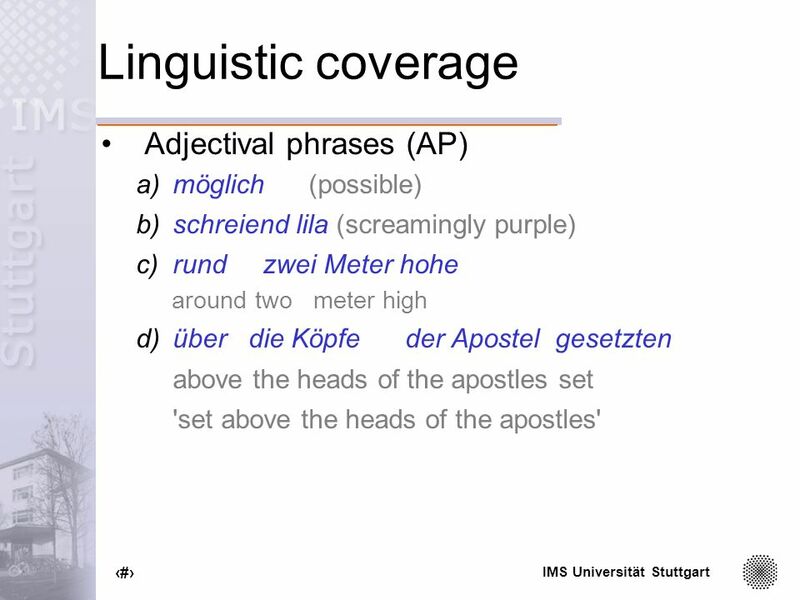 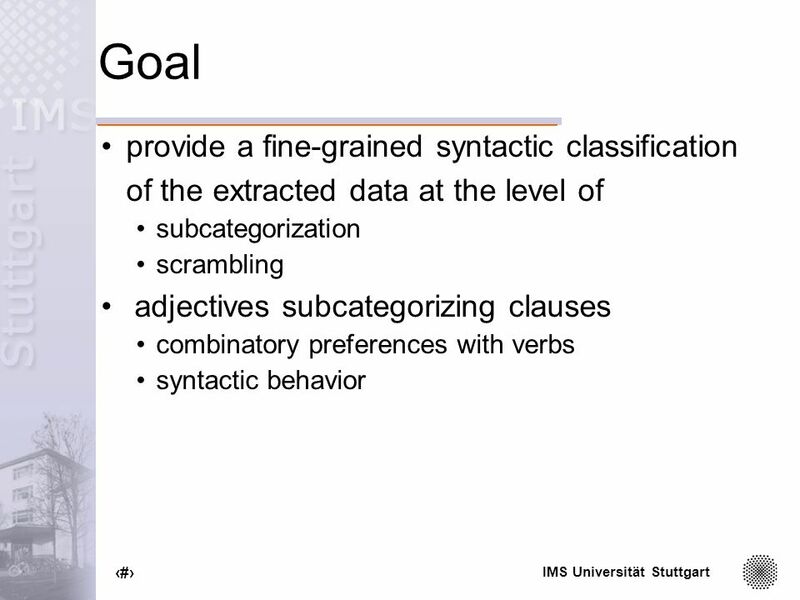 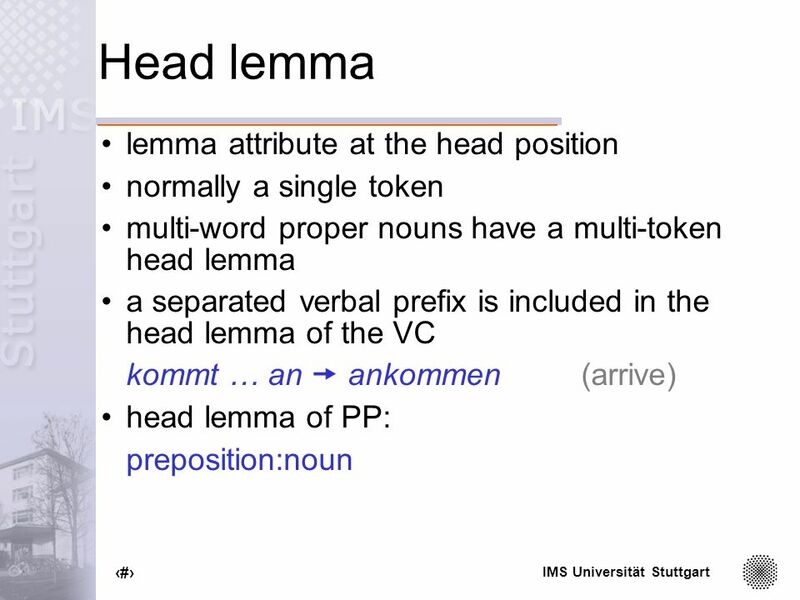 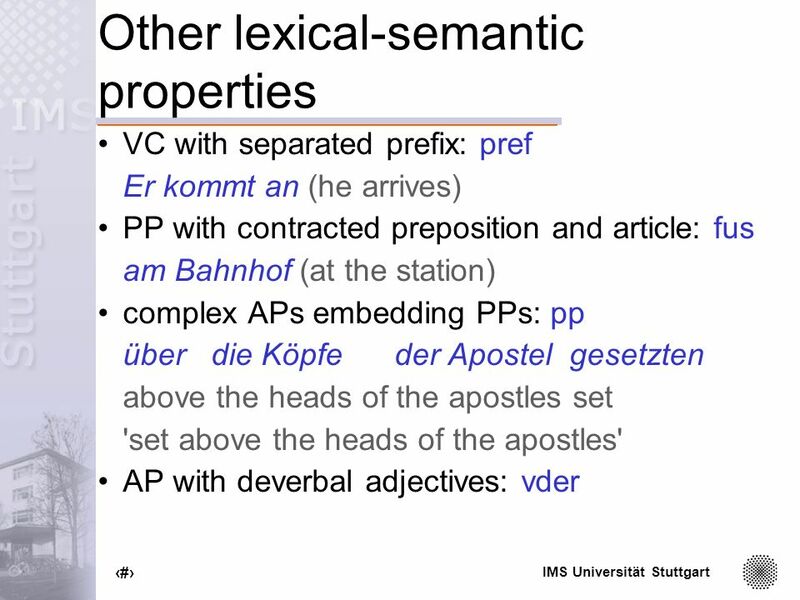 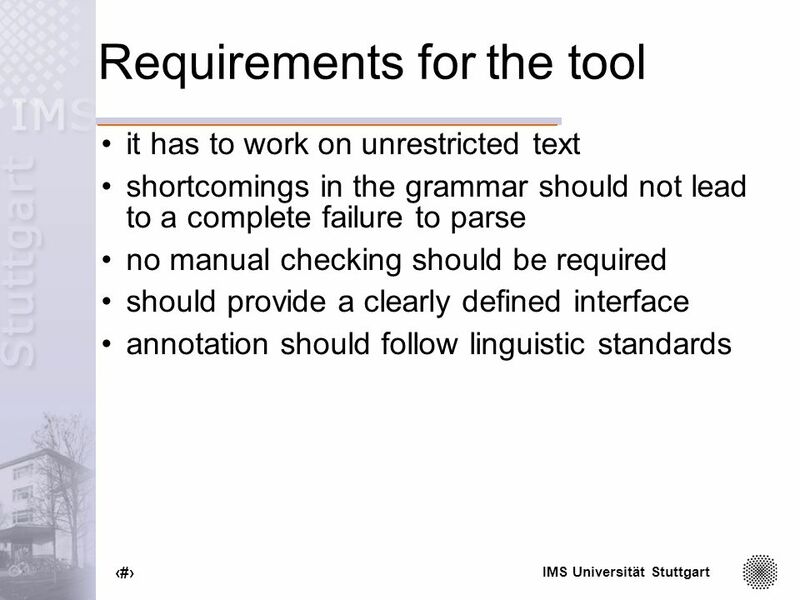 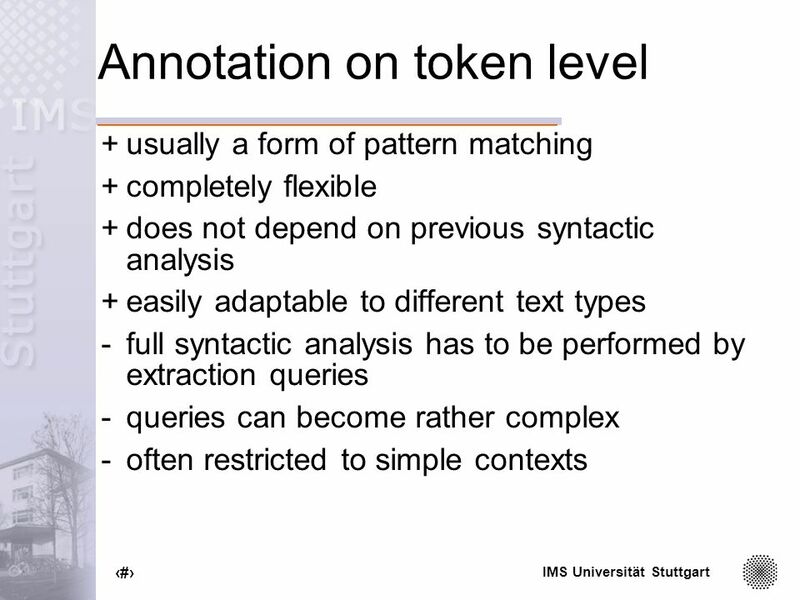 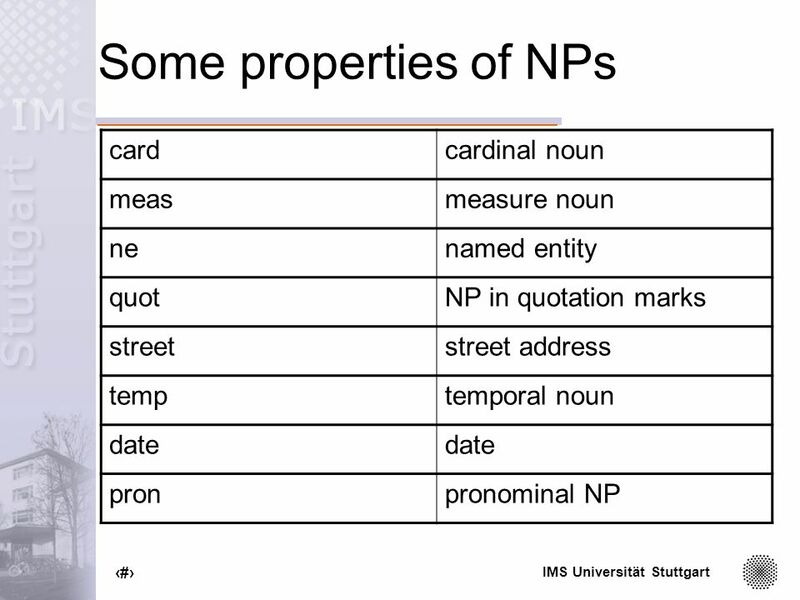 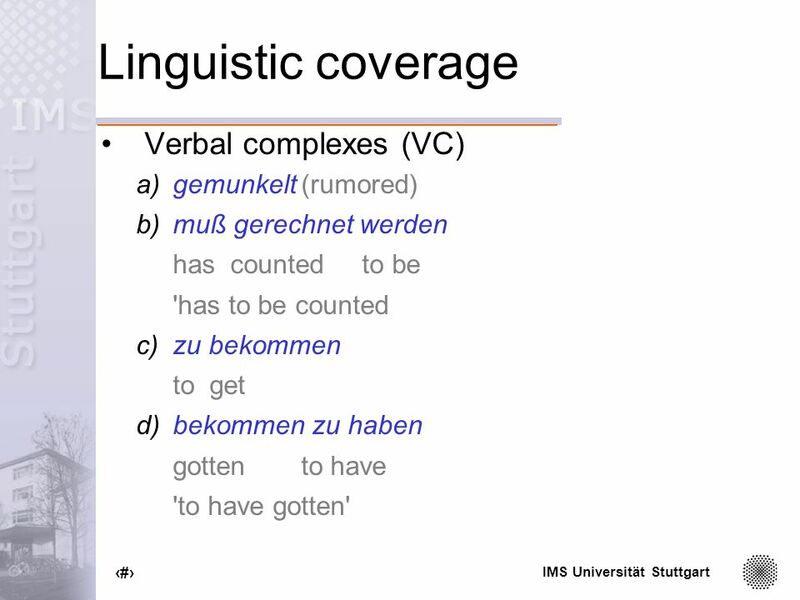 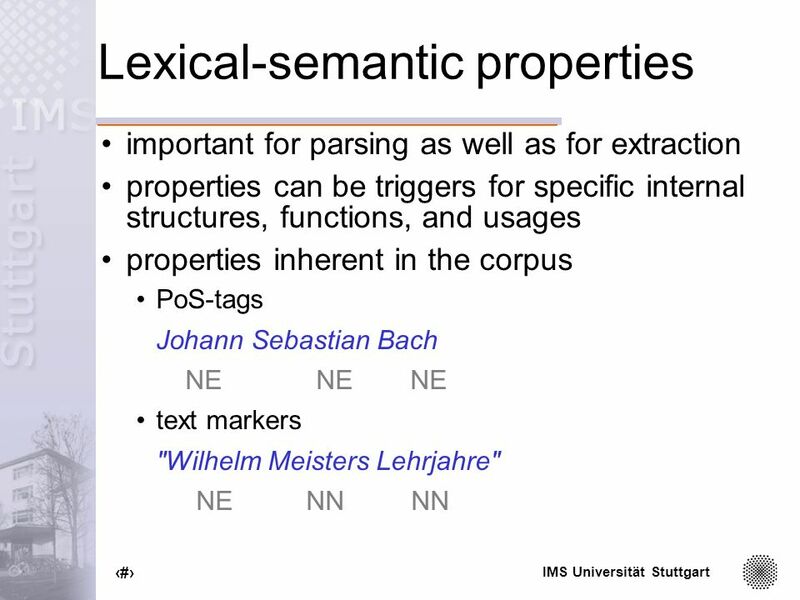 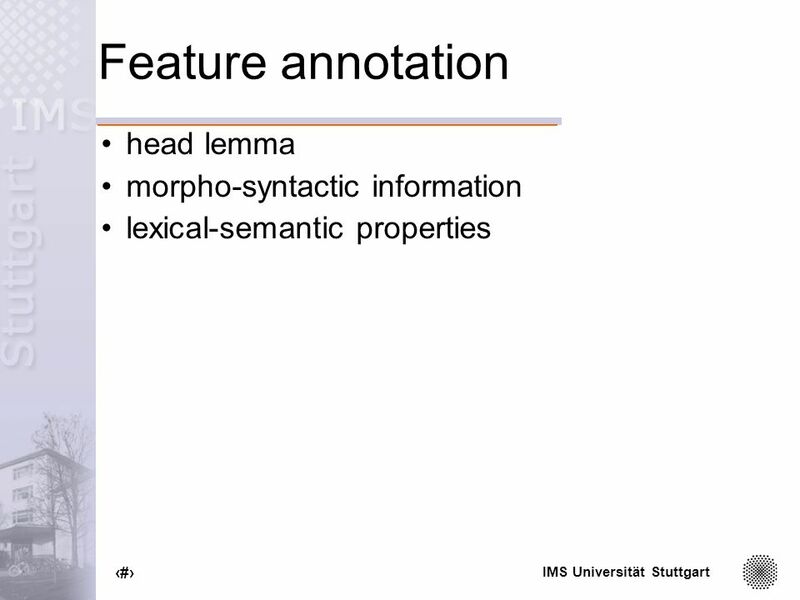 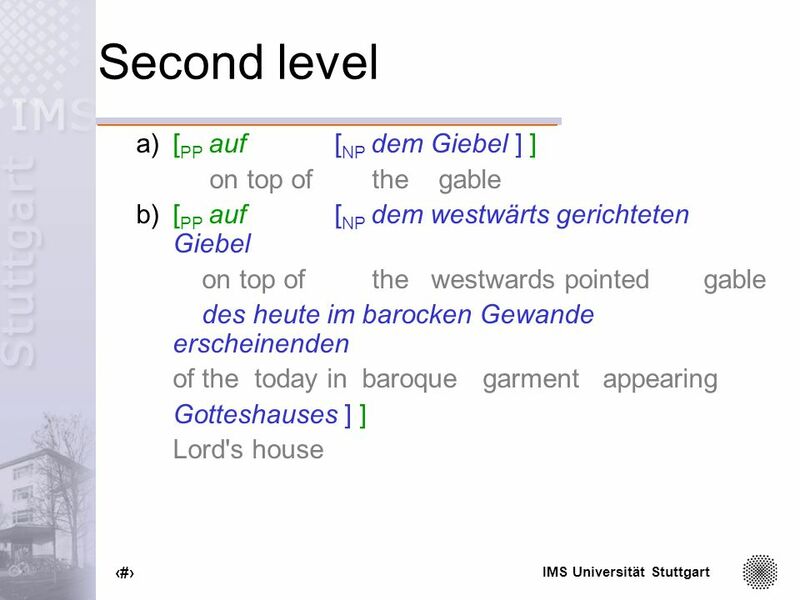 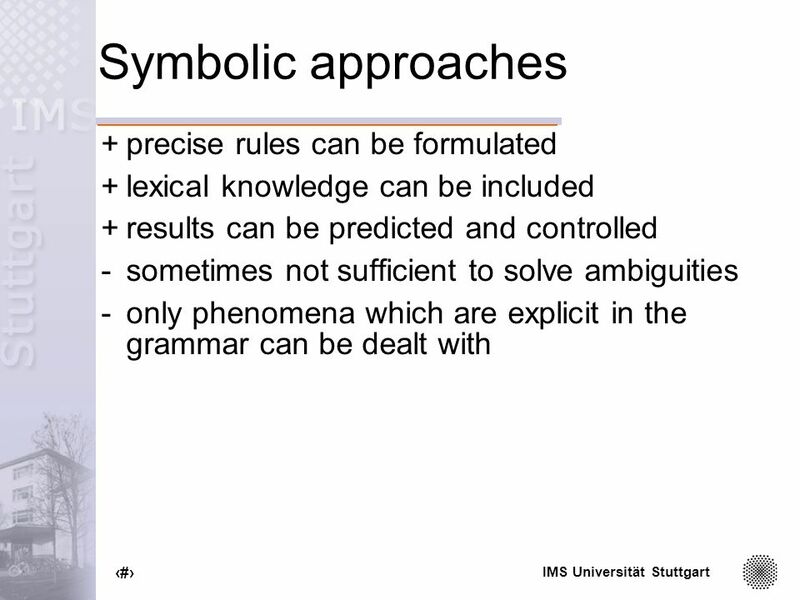 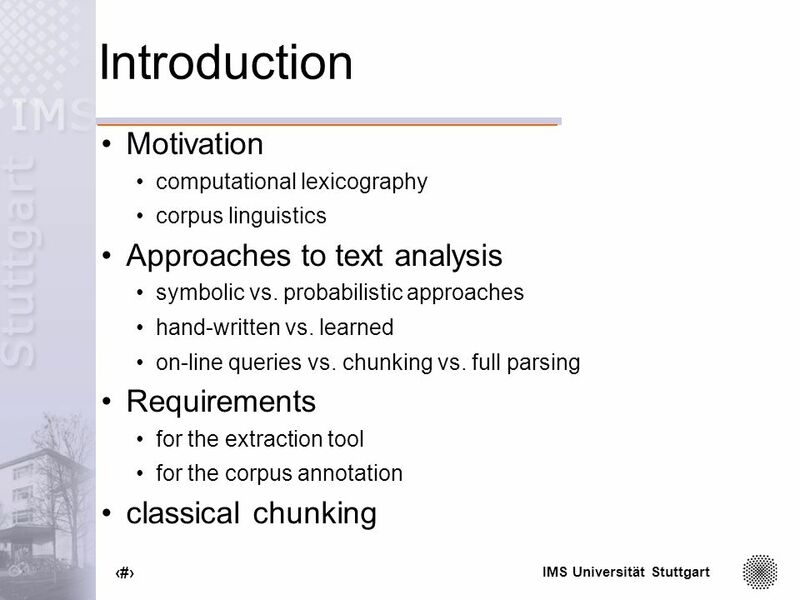 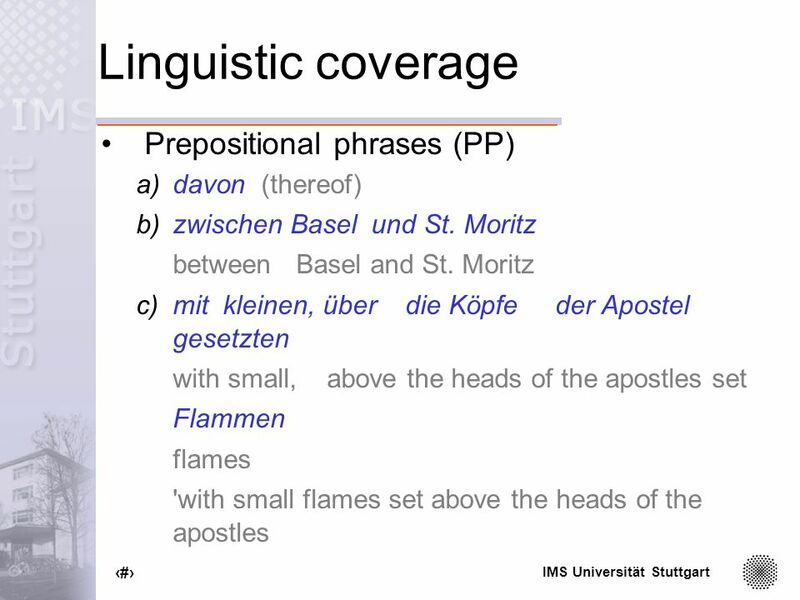 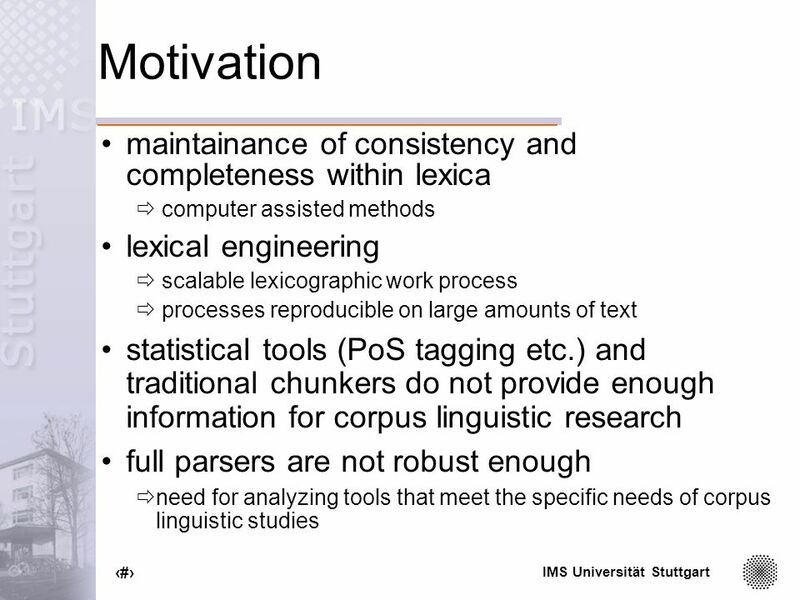 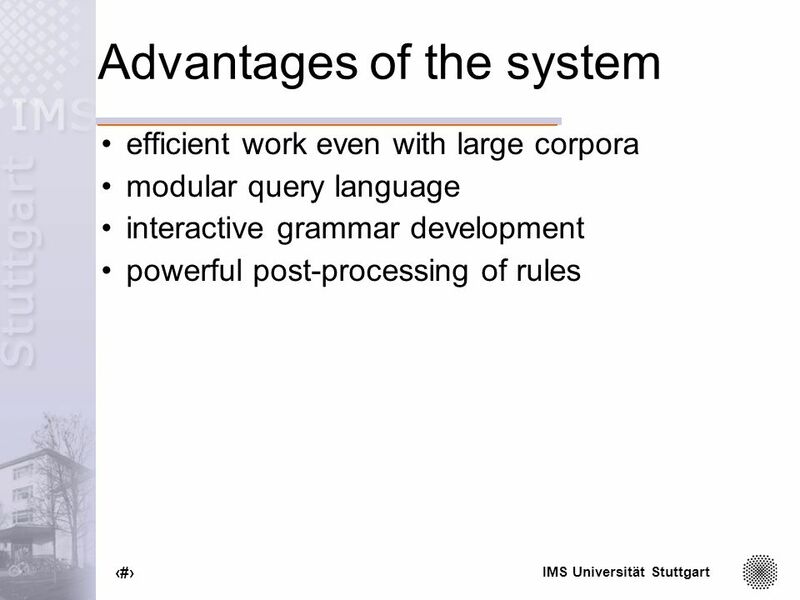 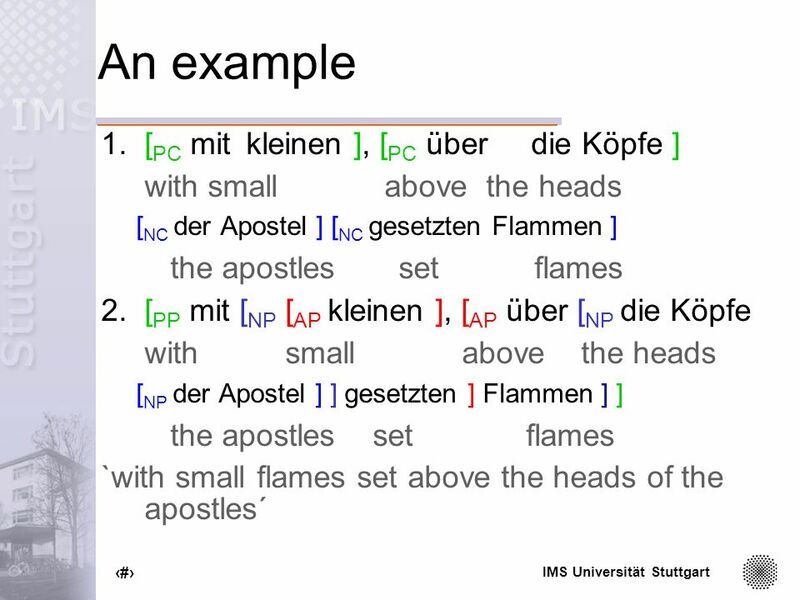 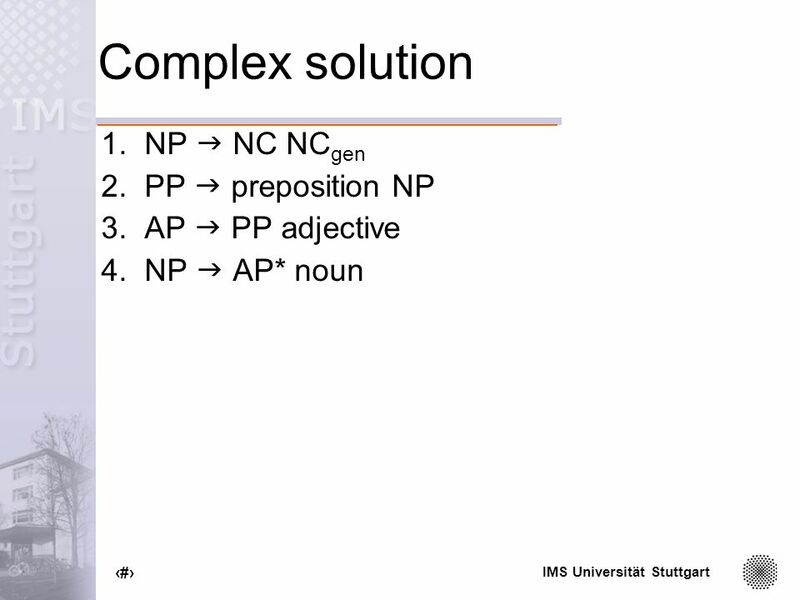 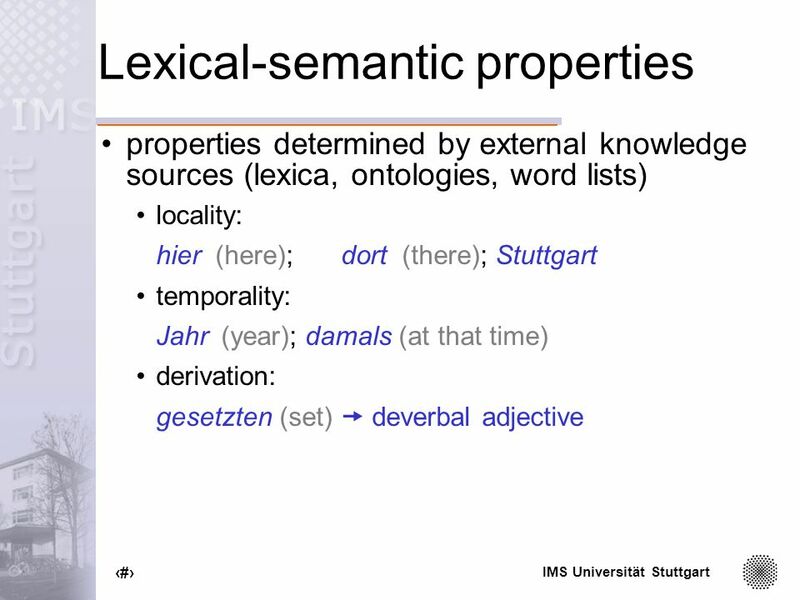 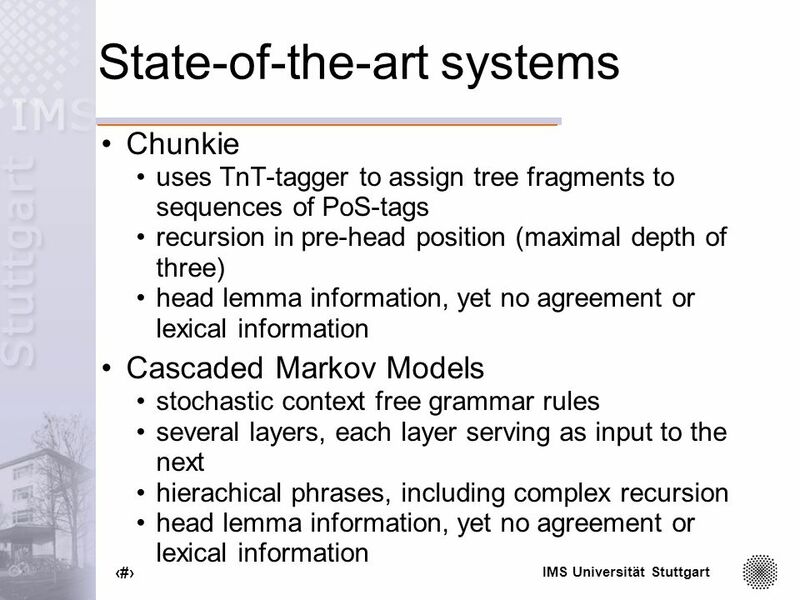 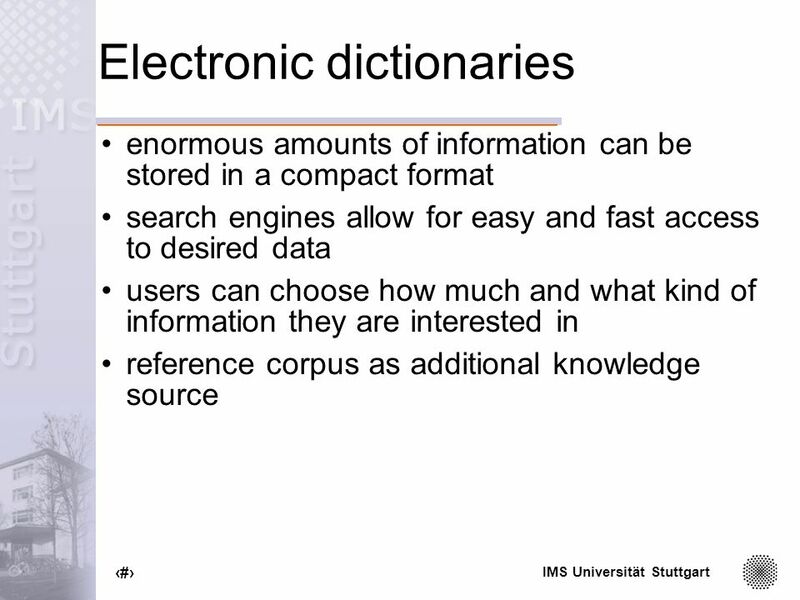 Download ppt "IMS Universität Stuttgart Off-line (and On-line) Text Analysis for Computational Lexicography Hannah Kermes."